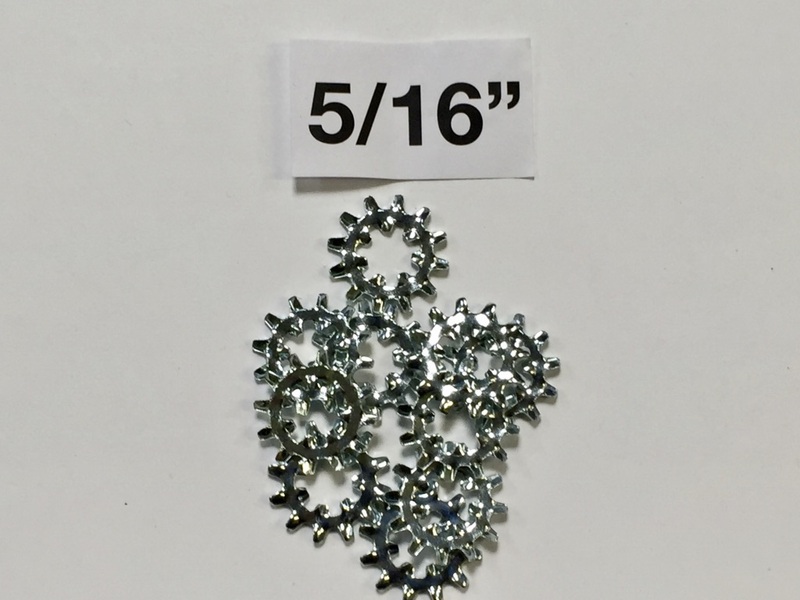 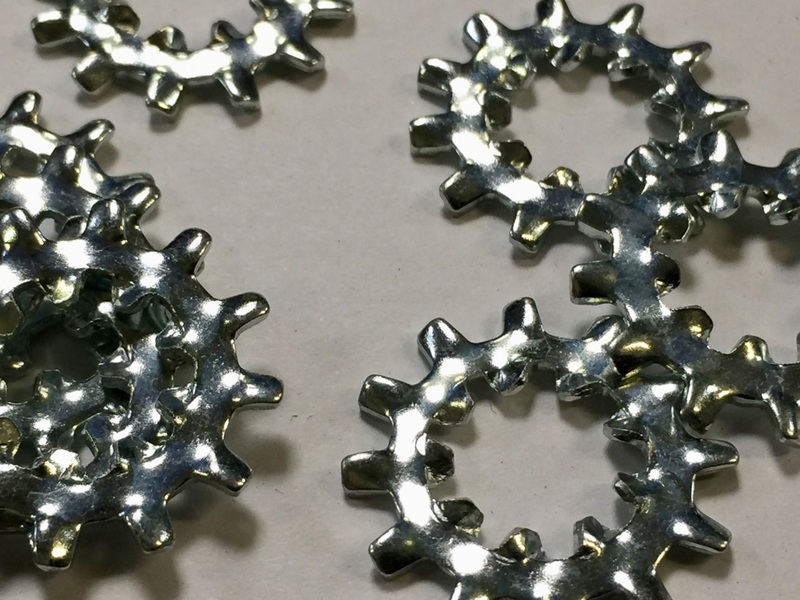 Now in stock, 5/16 and 3/8 shake proof washers. 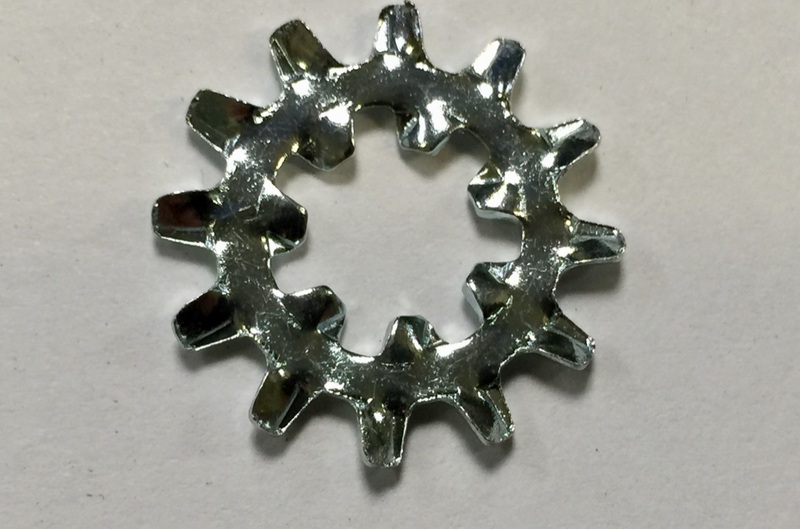 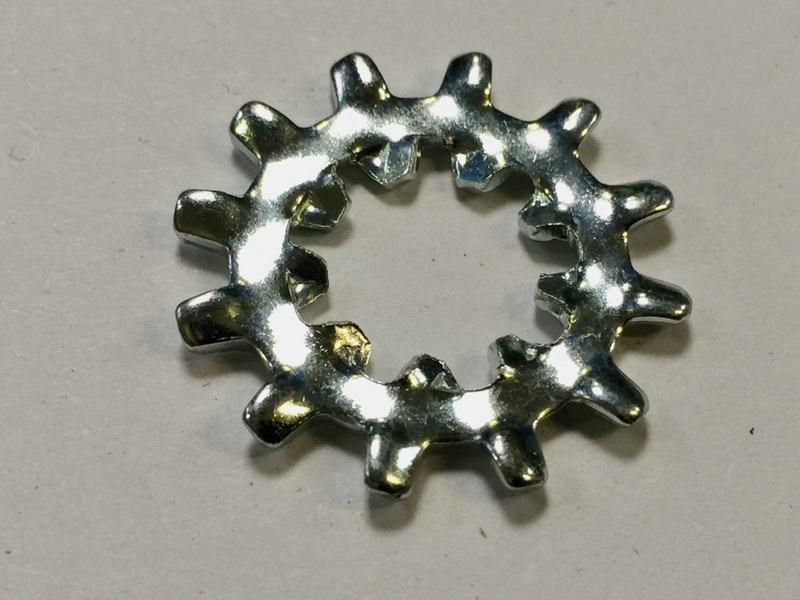 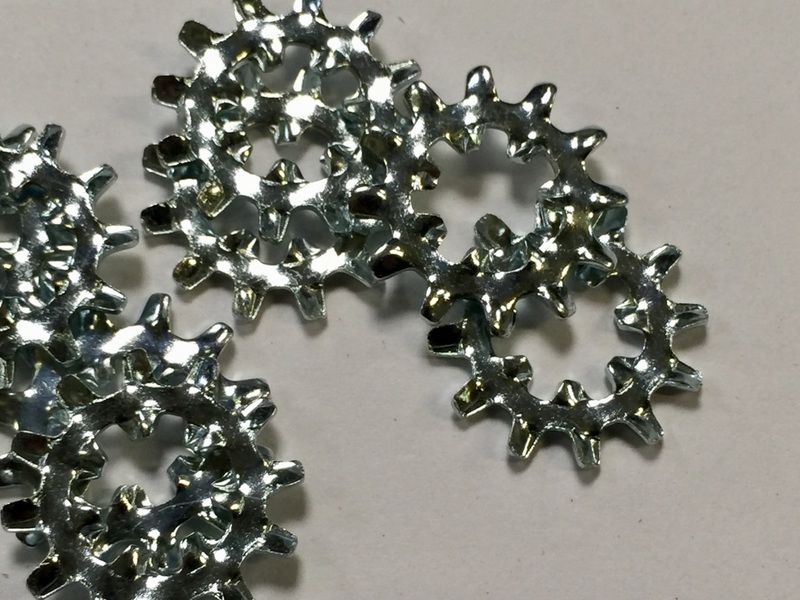 These internal/external tooth washers are sold in packs of 10. 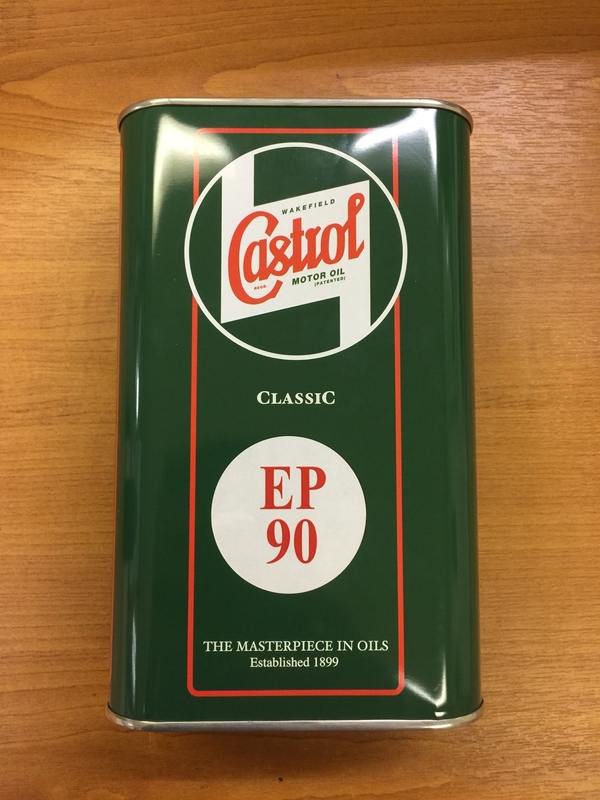 Available to purchase on our online store. 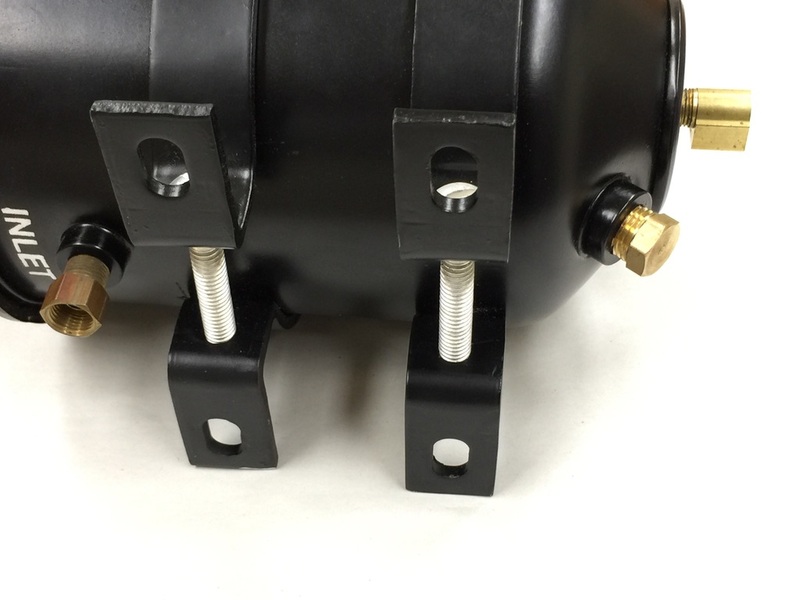 Dallas Auto Parts can now supply new Jeep torque reaction springs. 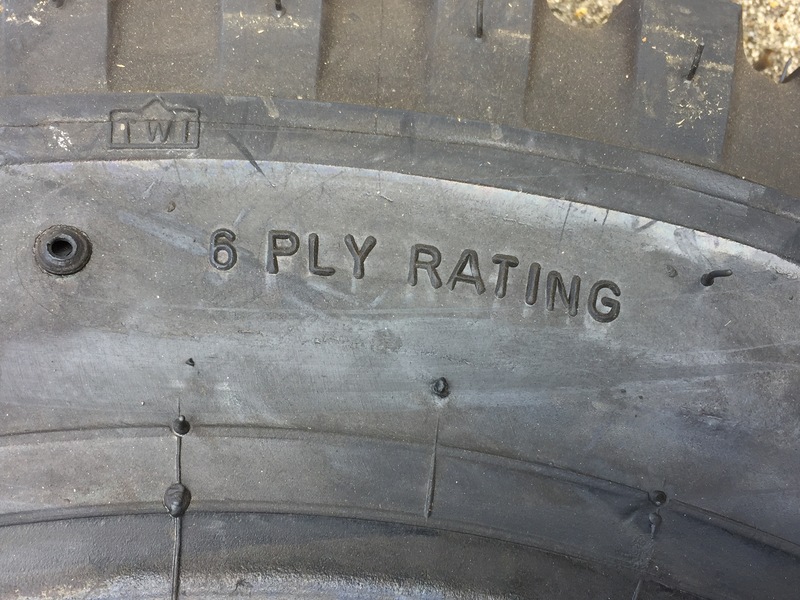 Excellent quality complete with bush. 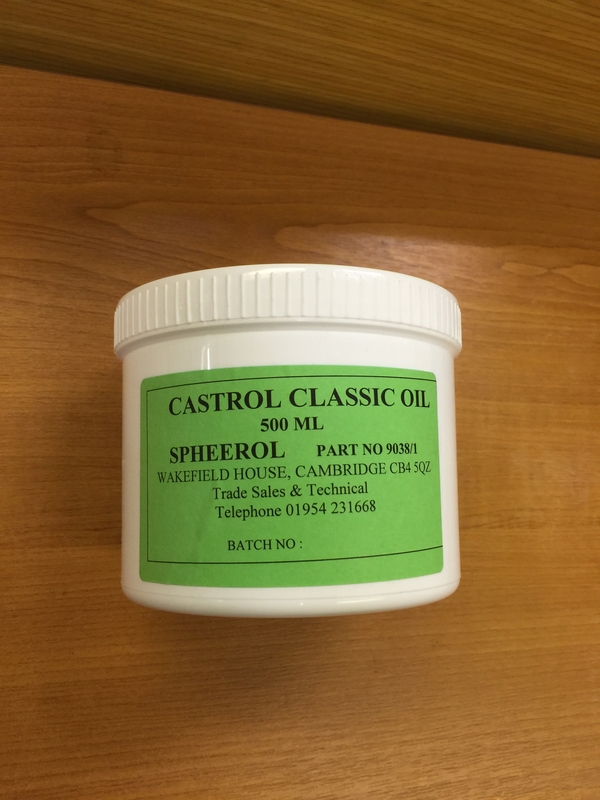 To purchase please visit our online store. 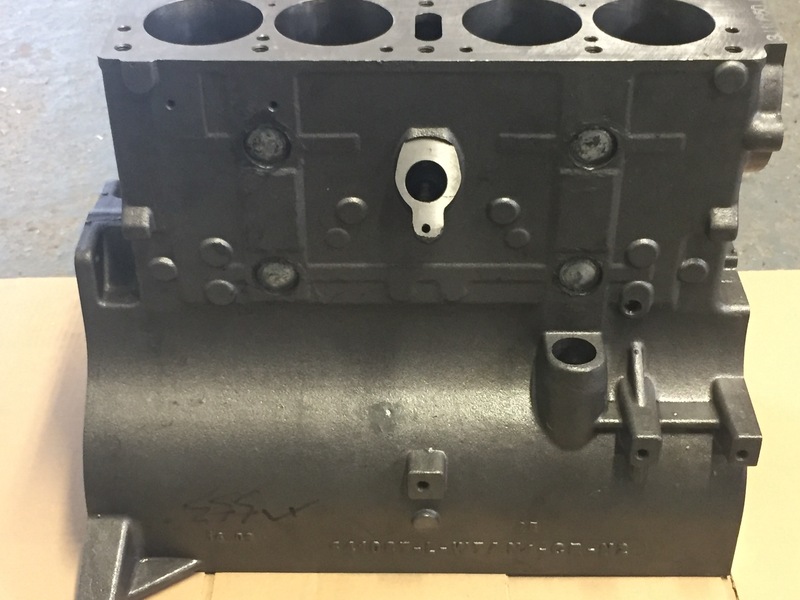 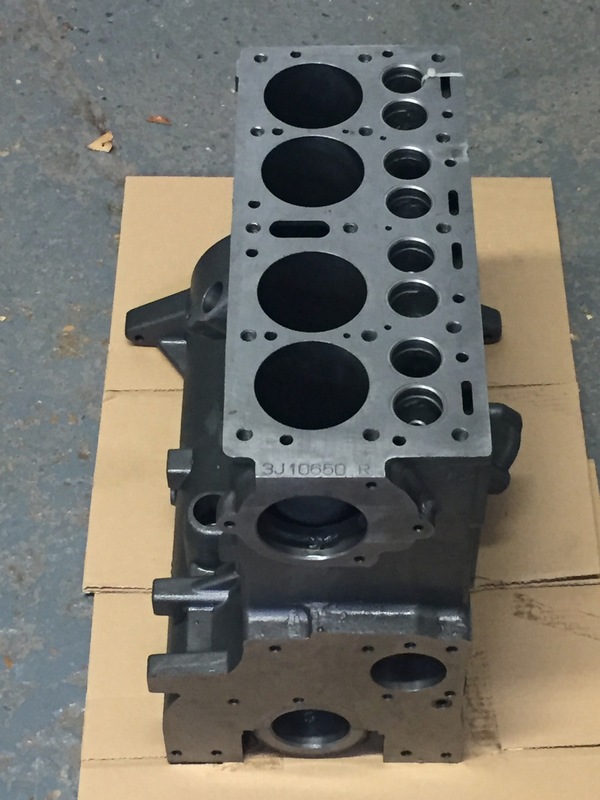 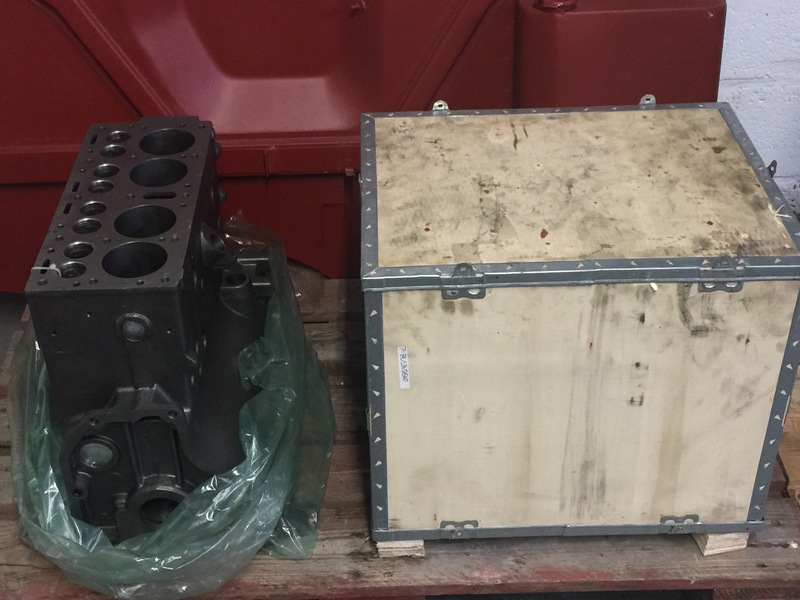 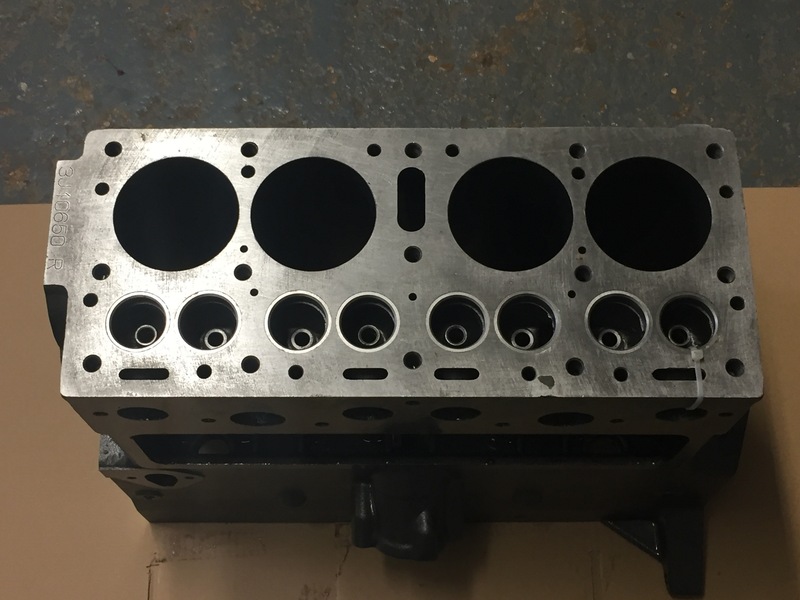 Dallas Auto Parts can now offer brand new Jeep engine Blocks. 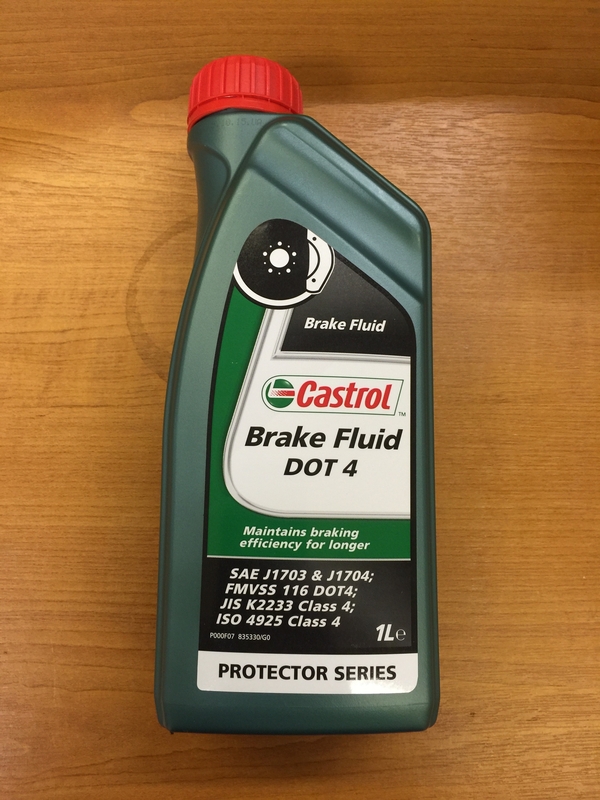 The answer to your cracked Jeep engine block. 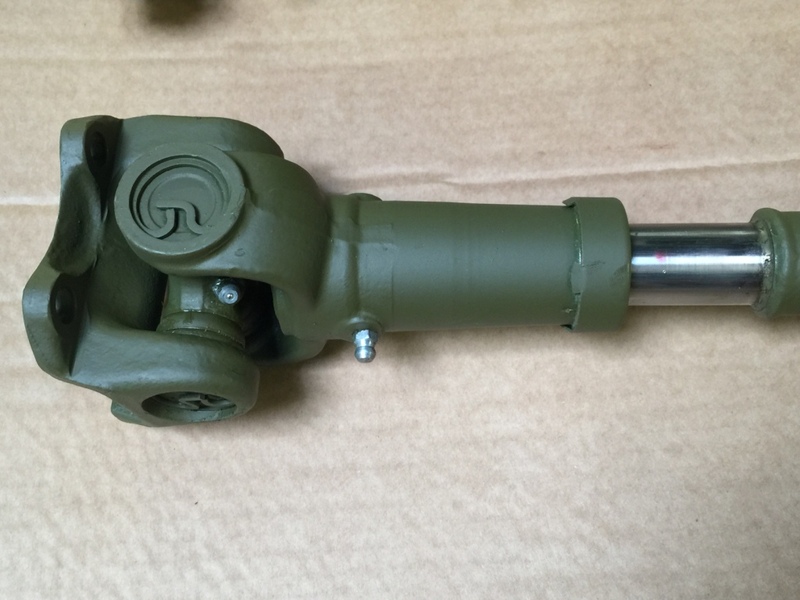 Suitable for chain and gear drive engines. 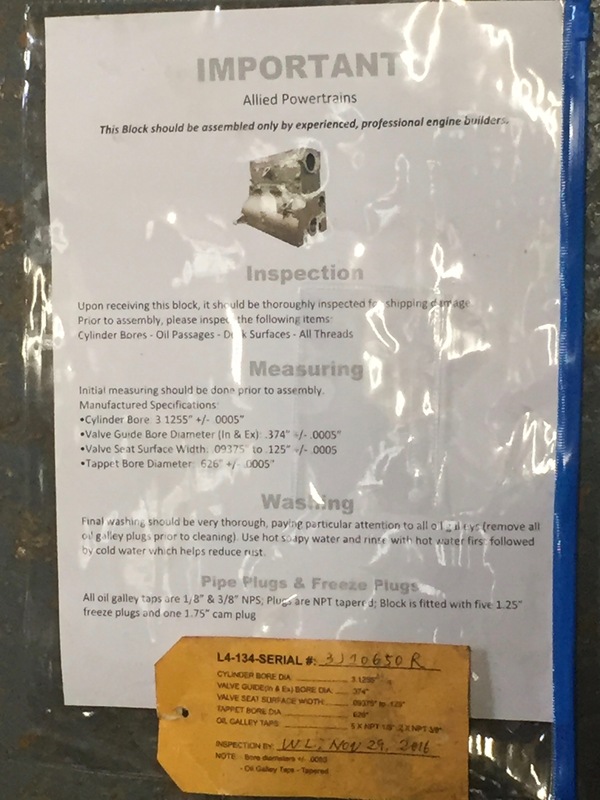 Each block is stamped with an individual serial number, it is presented in a wooden box with its paperwork and warranty conditions. 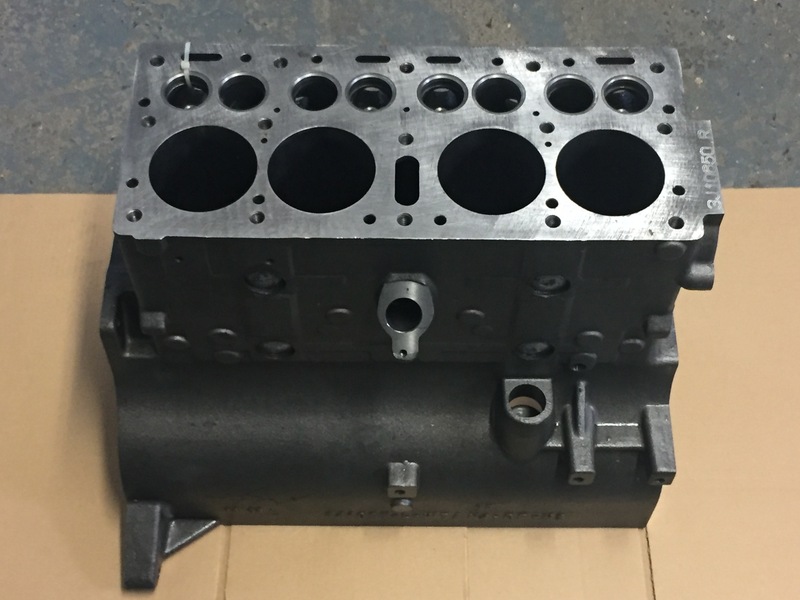 We recommend that the block is assembled by proffesional technicians only. 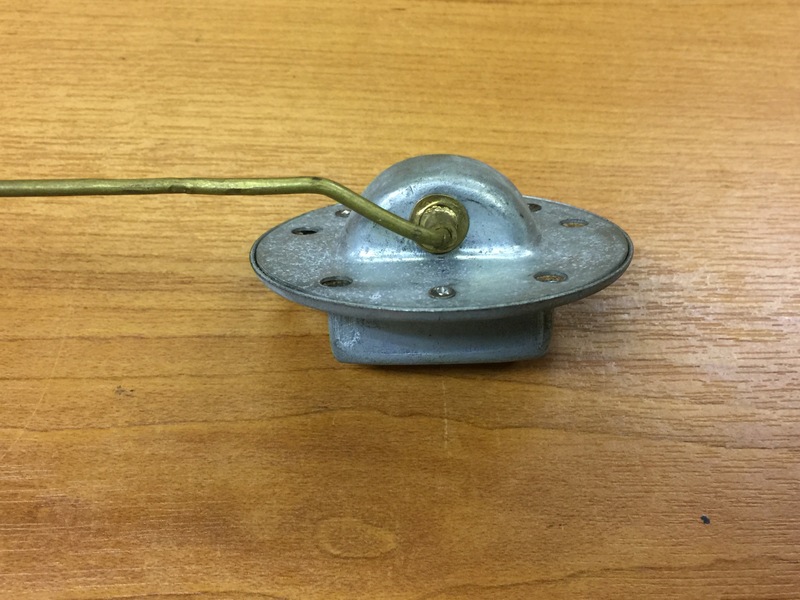 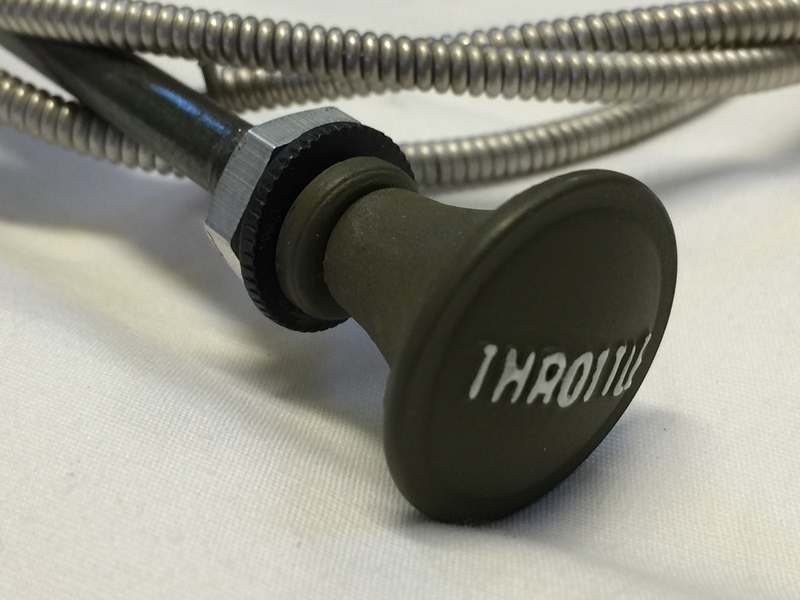 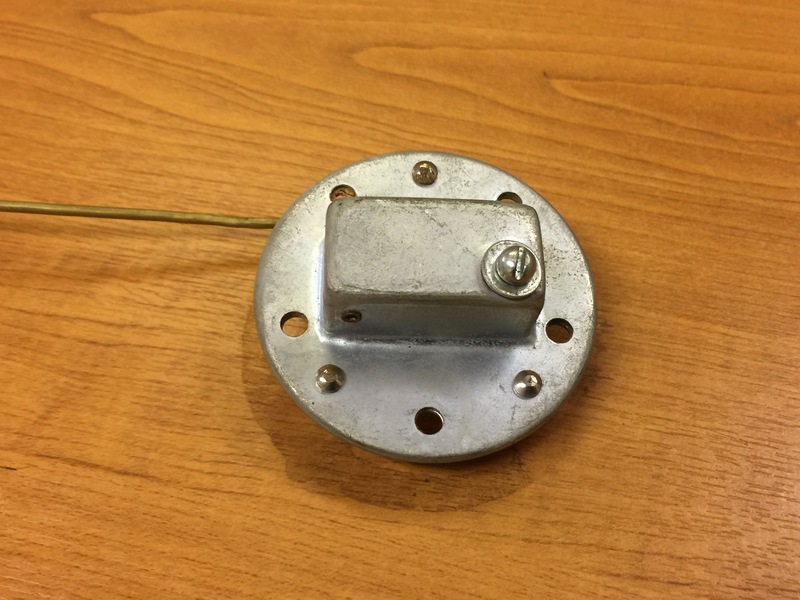 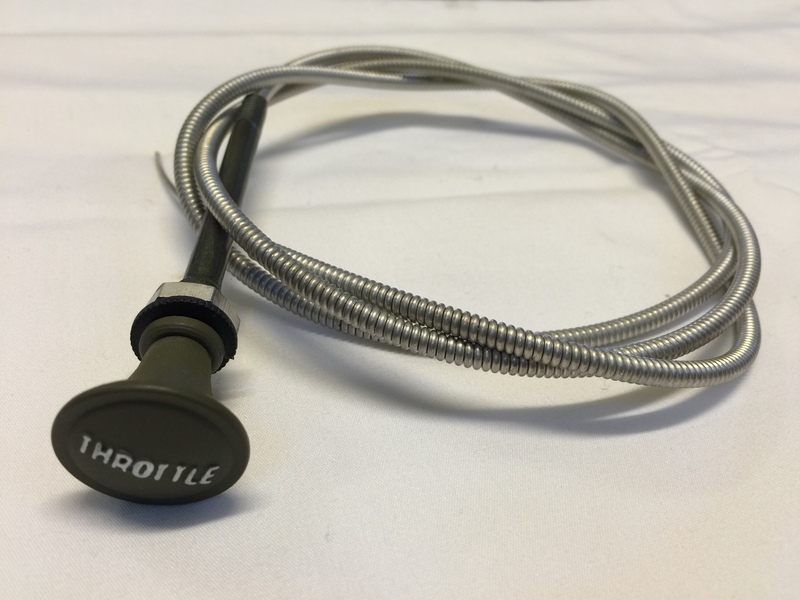 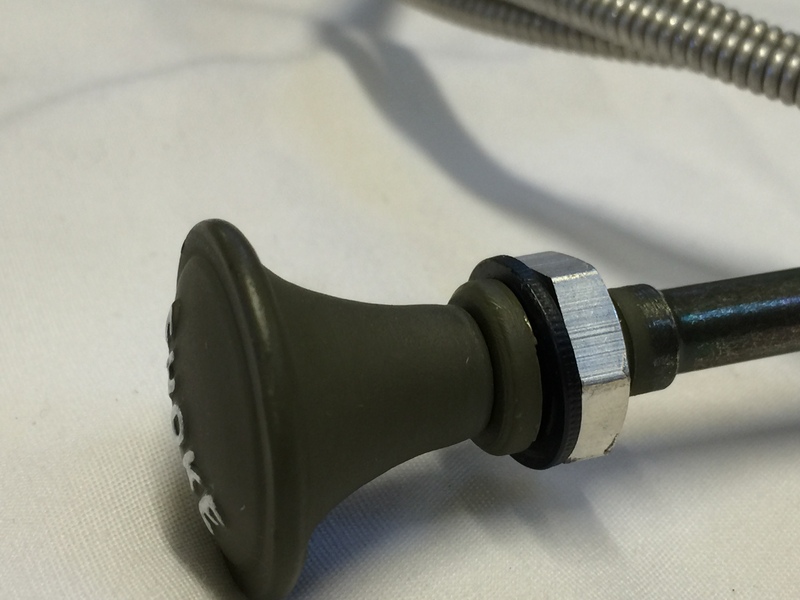 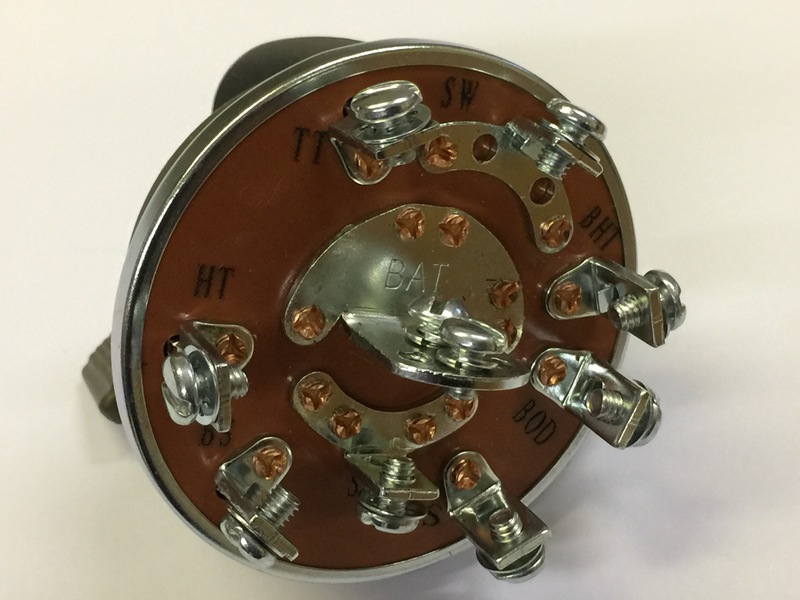 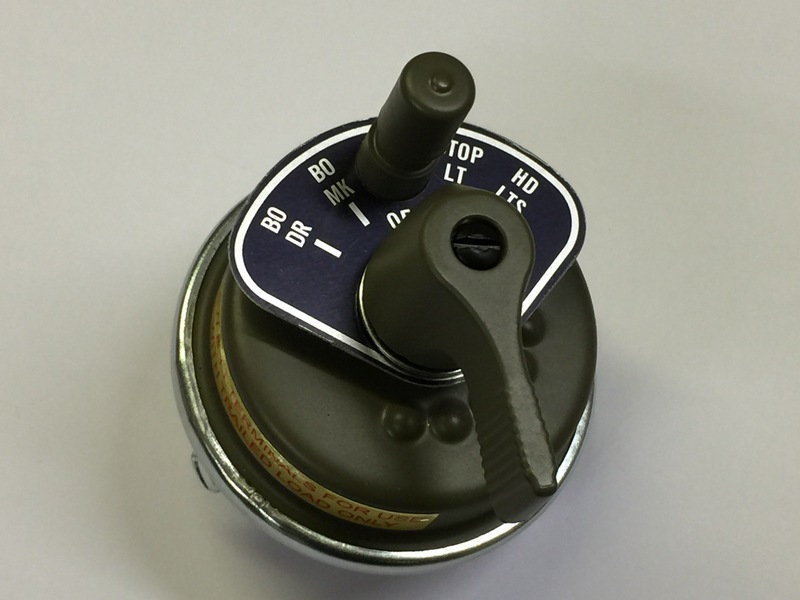 New in stock – Excellent quality reproduction of the rotary headlamp switch. 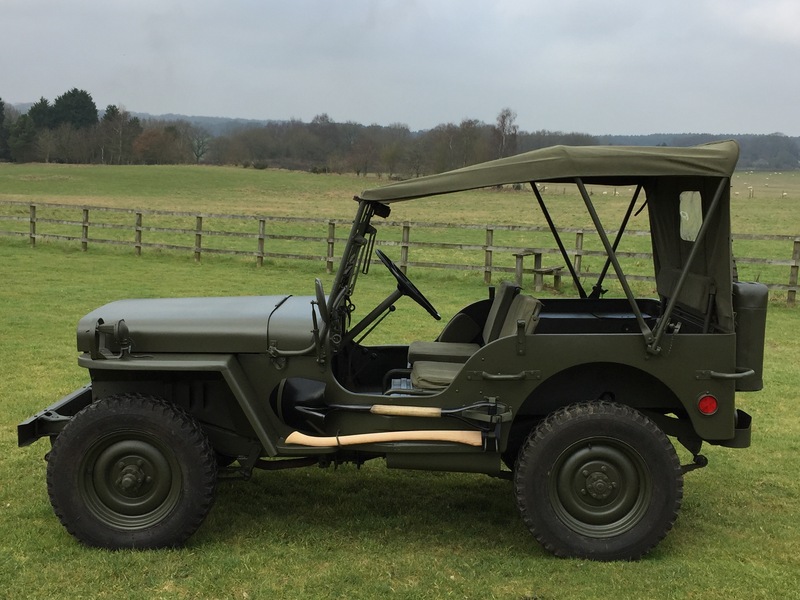 Suitable for most WW2 Military vehicles. 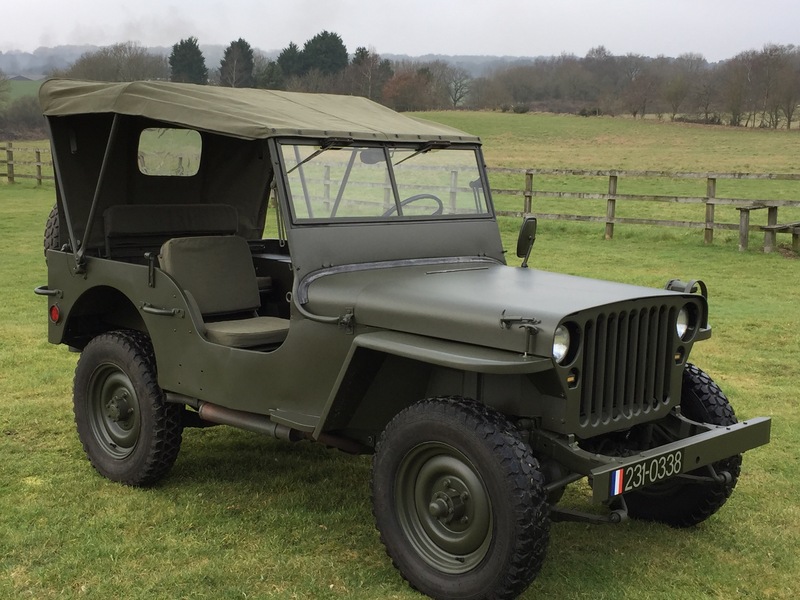 Correct for late Willys MB, Ford GPW Jeeps. 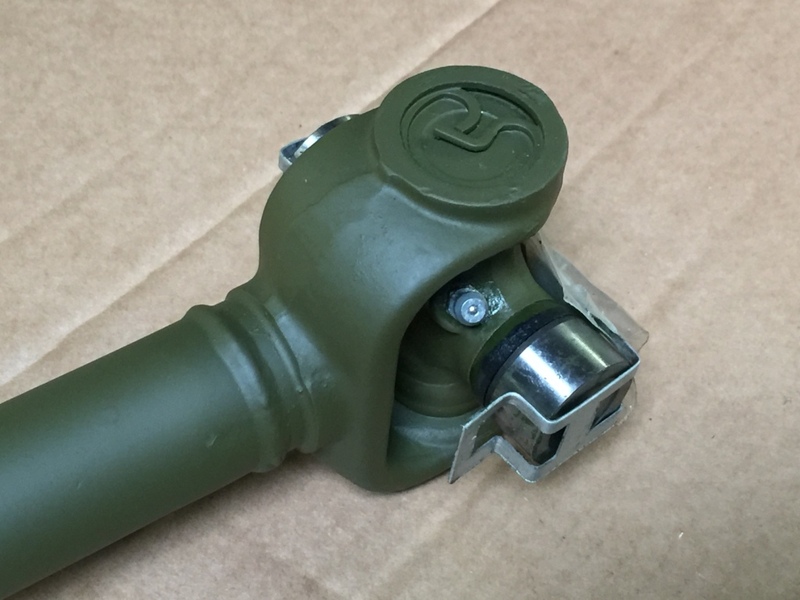 Also suitable for Dodge and GMC. 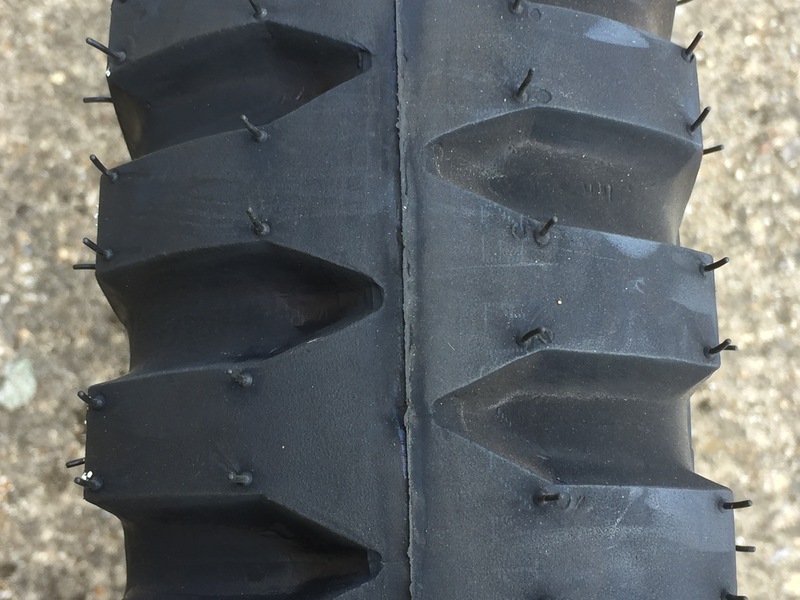 New in stock 900x16 Speedway tyres, 8 ply rating, bar grip pattern, excellent quality at a very good price, please call for more details. 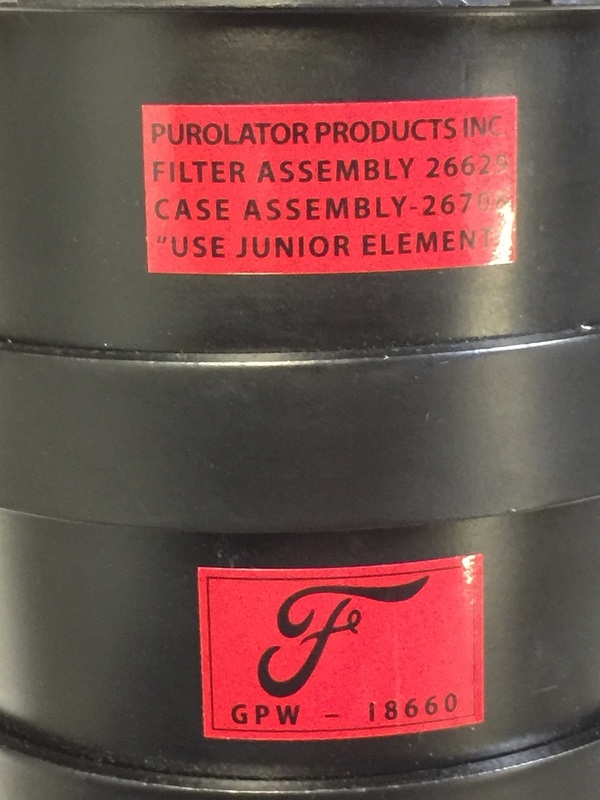 Now in stock – Purolator type oil filter ASSY, suitable for MB/GPW Jeeps and Dodge WC Series trucks. 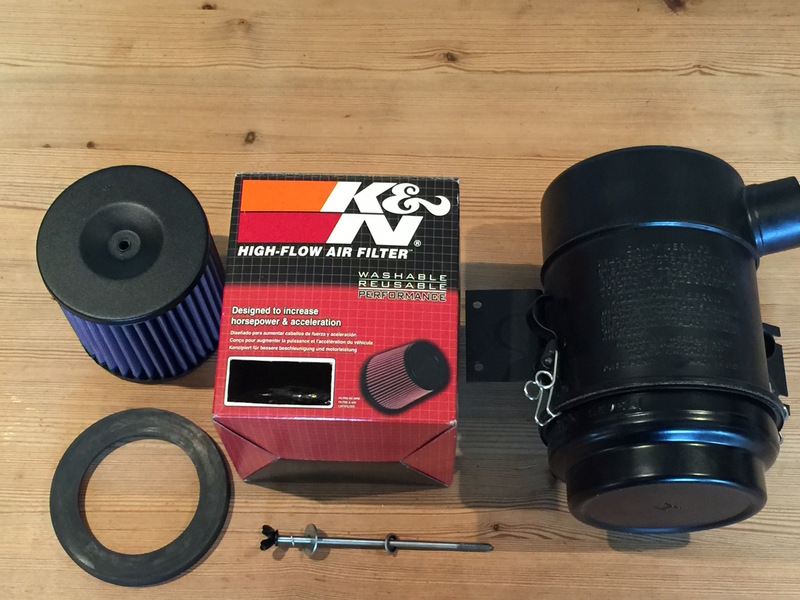 The filter is sold with all unions, oil filter element and a decal kit, please add decals to suit your application. 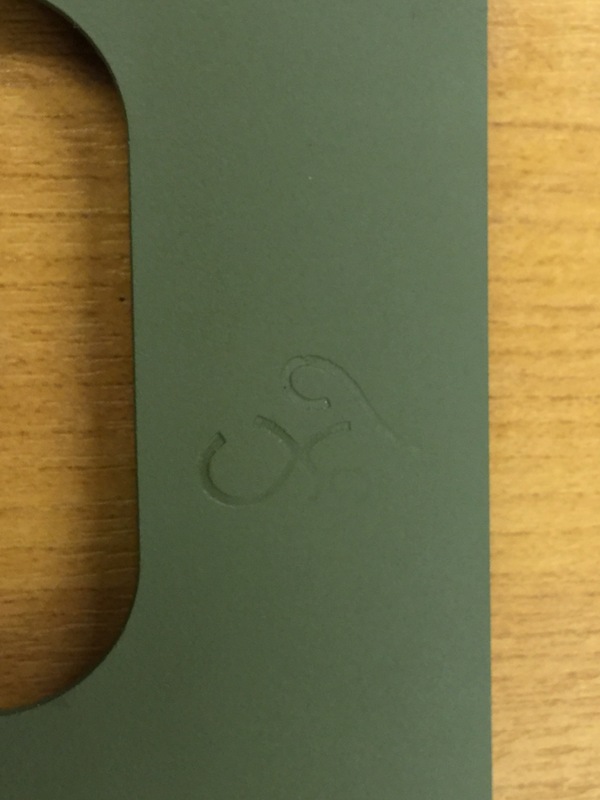 Can be purchased on our online store. 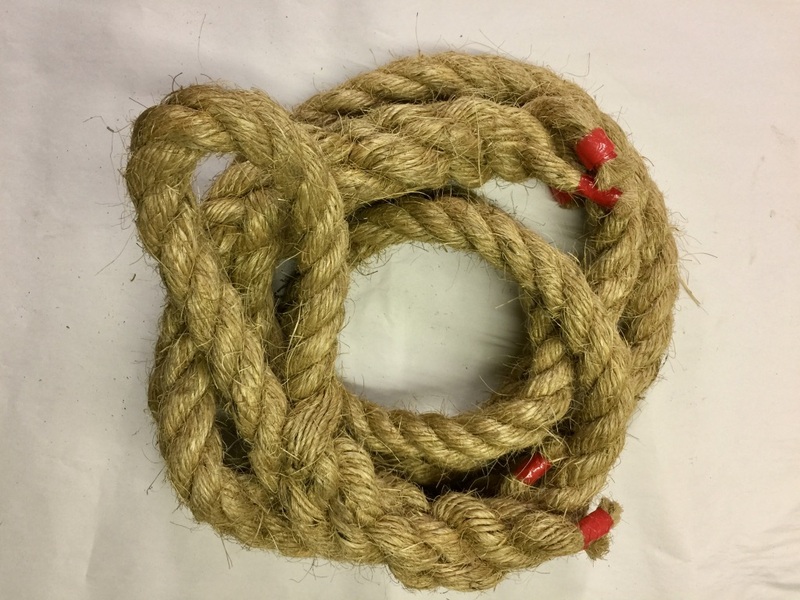 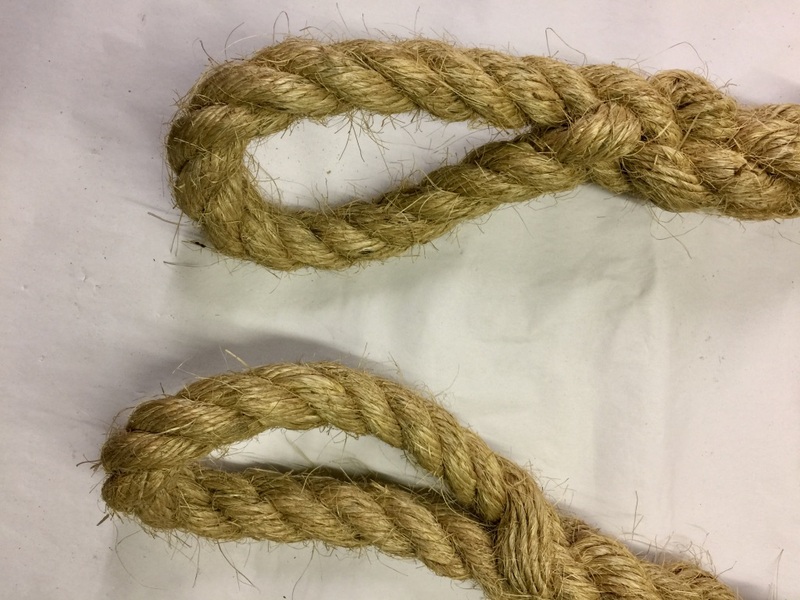 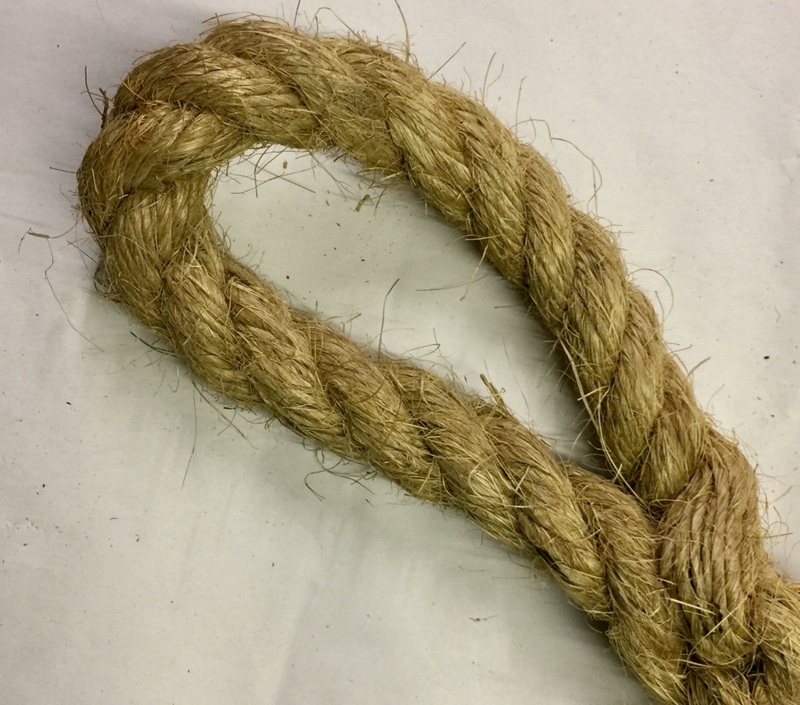 Now in stock – Tow rope to suit your military vehicle, approx 11ft long with loops at each end. 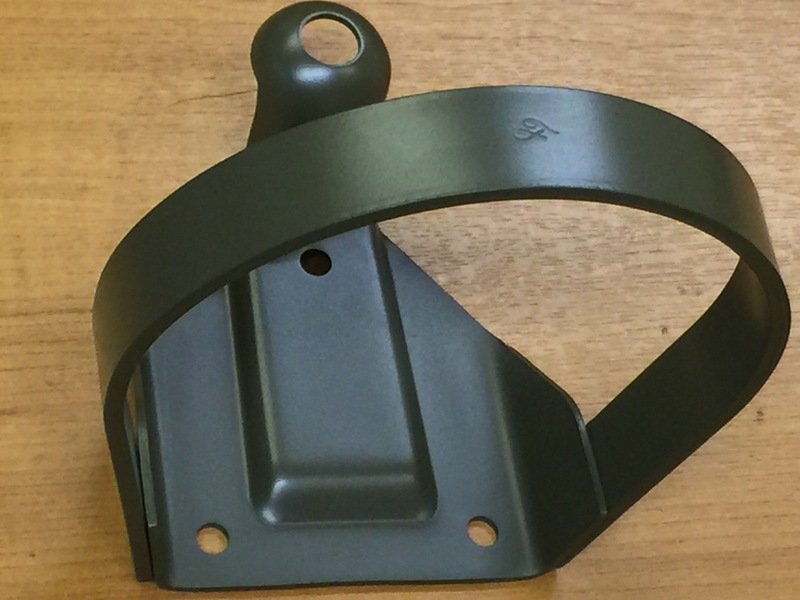 Ideal for Jeep or Dodge bumper. 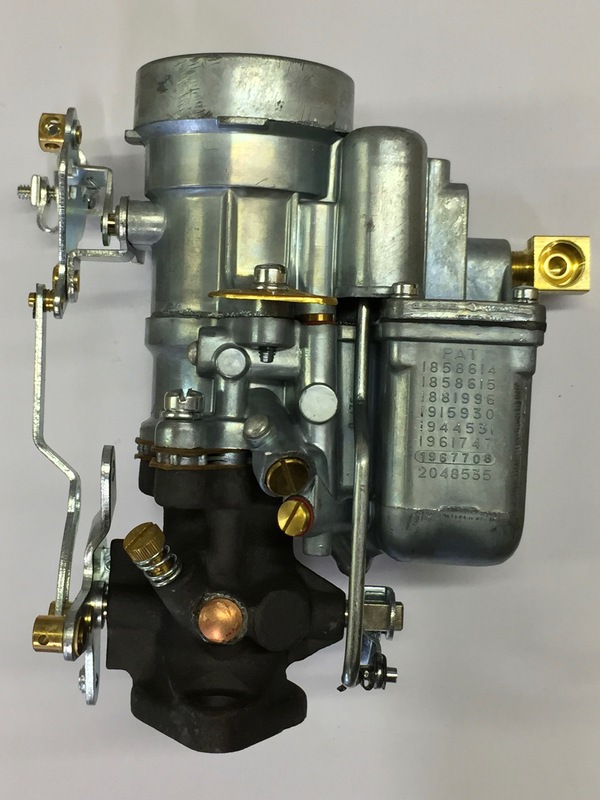 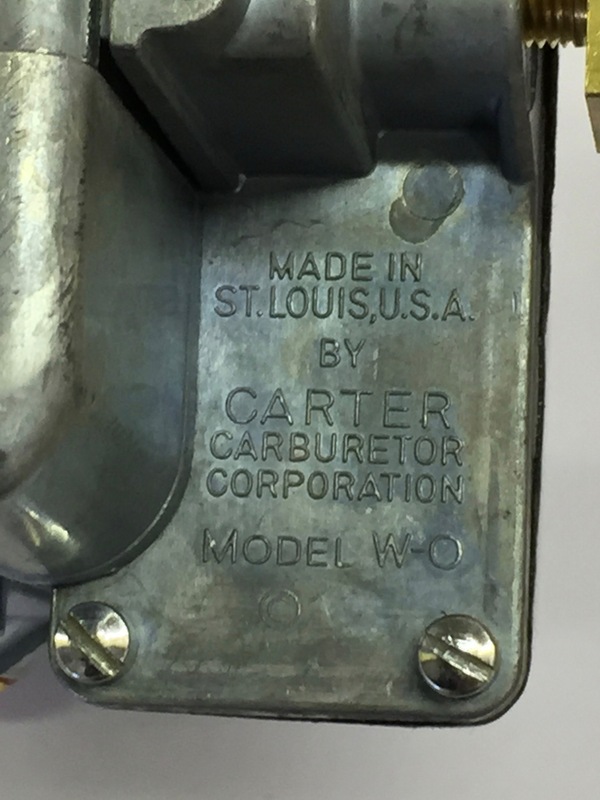 Now in stock – New production Carter 539s Carburettors, excellent quality reproduction, accurate details including patent numbers and float lid markings. 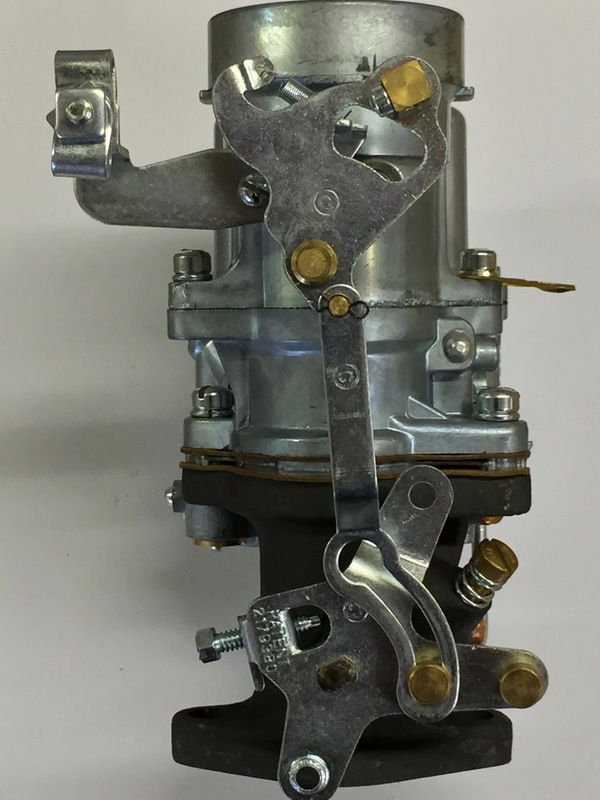 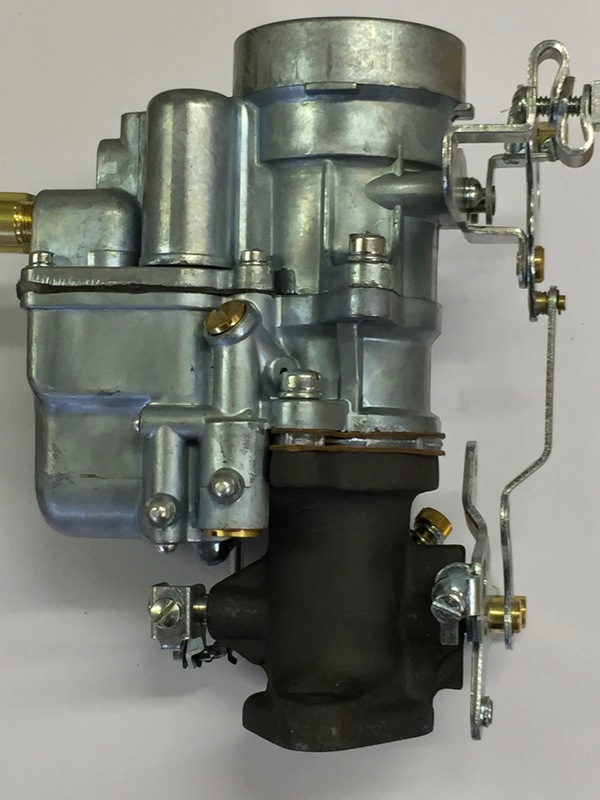 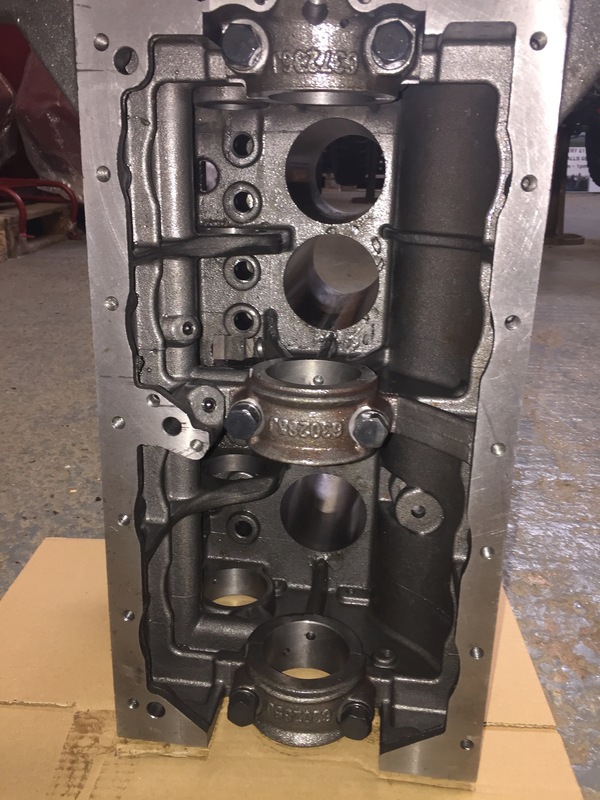 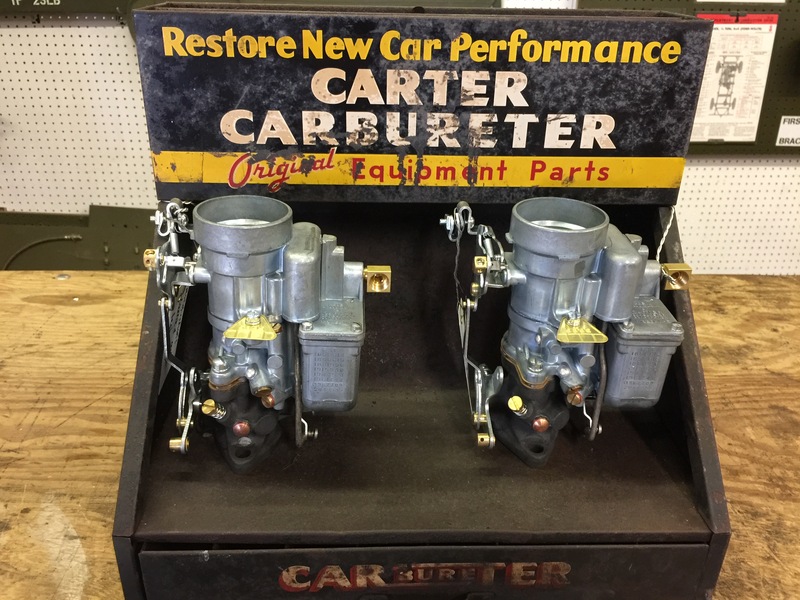 The Carburettors are set up by ourselves using genuine Carter tools, then test run in our workshop, therefore you will receive a Carburettor ready to fit. 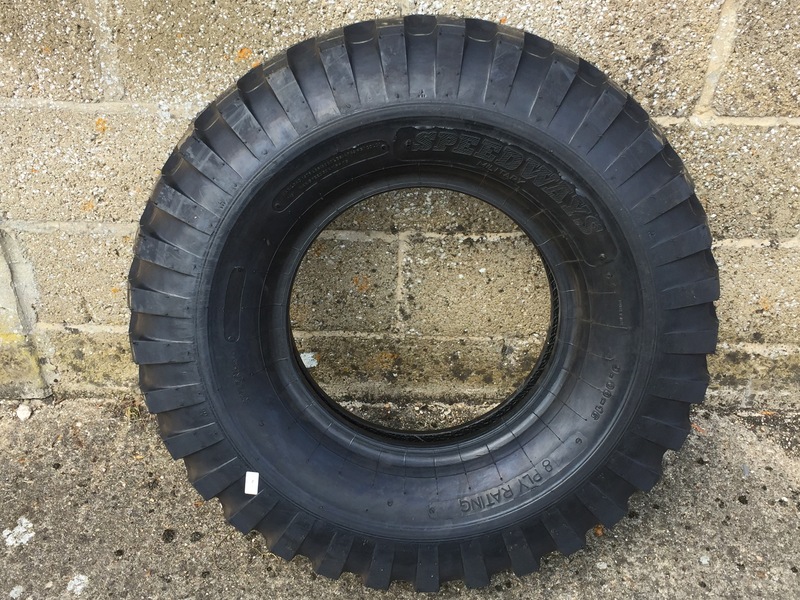 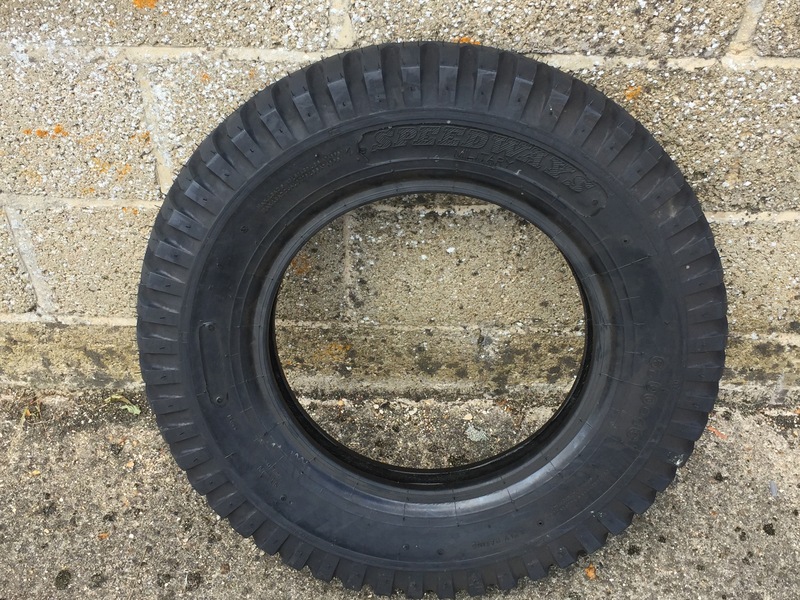 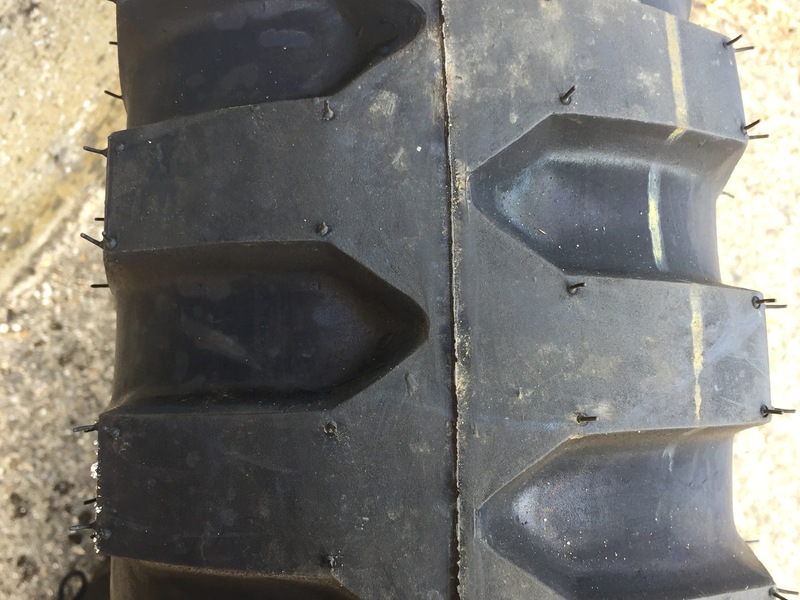 New in stock 600x16 Speedway tyres, 6 ply rating, with GoodYear style tread pattern, excellent quality at a very good price, please call for more details. 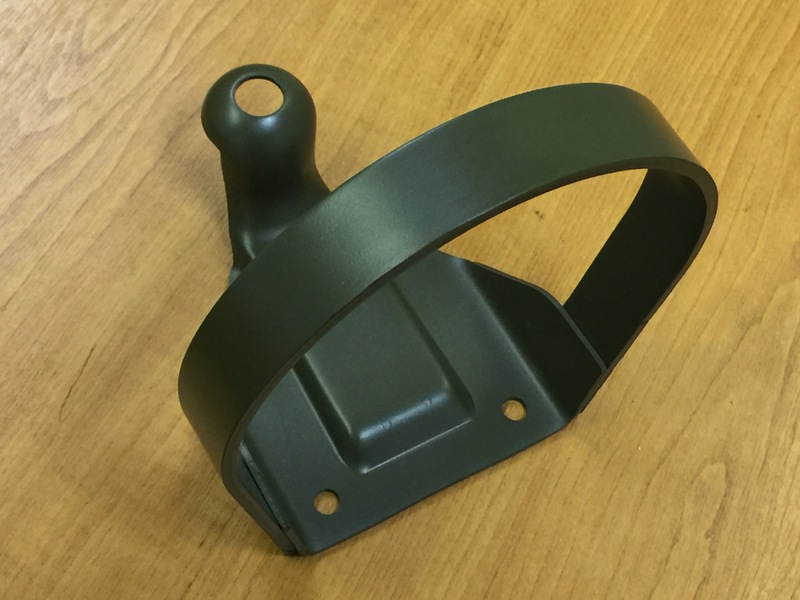 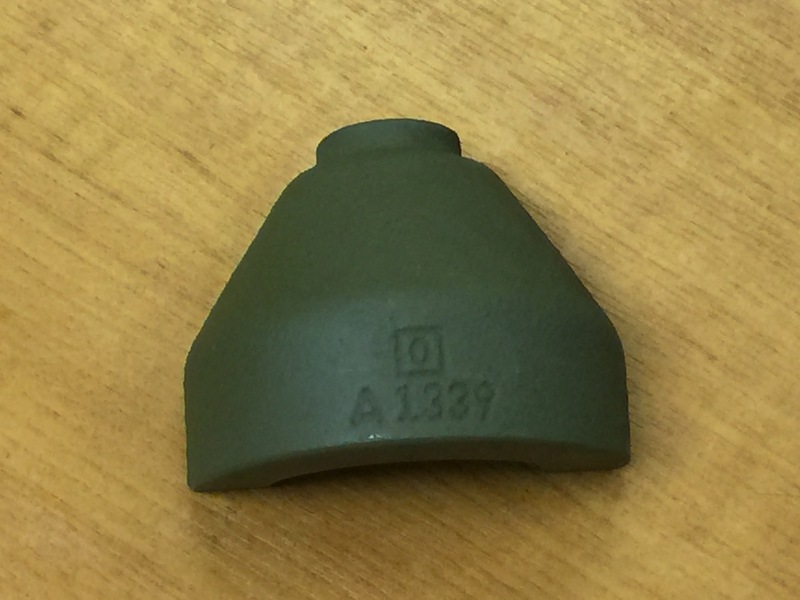 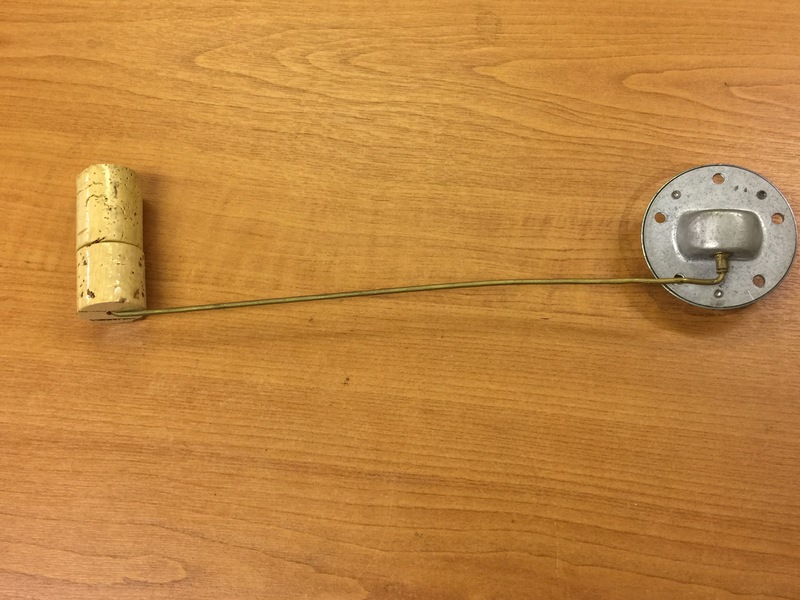 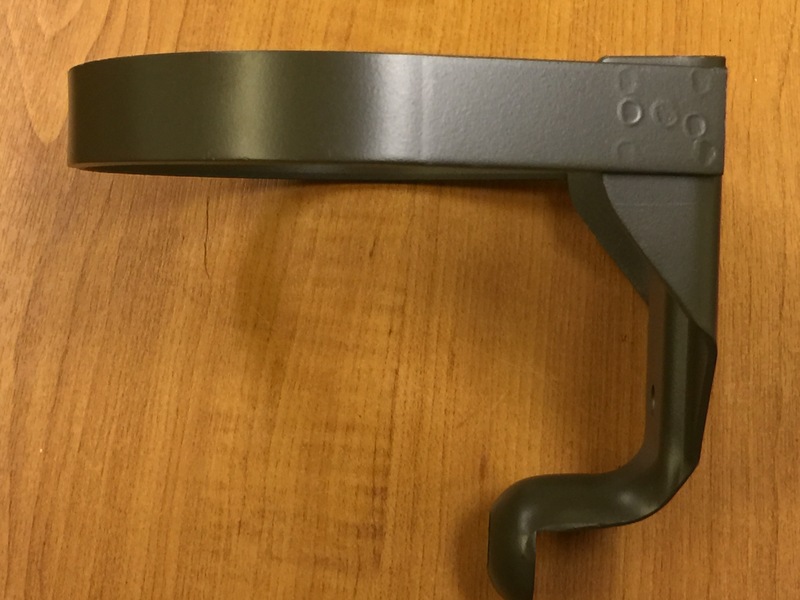 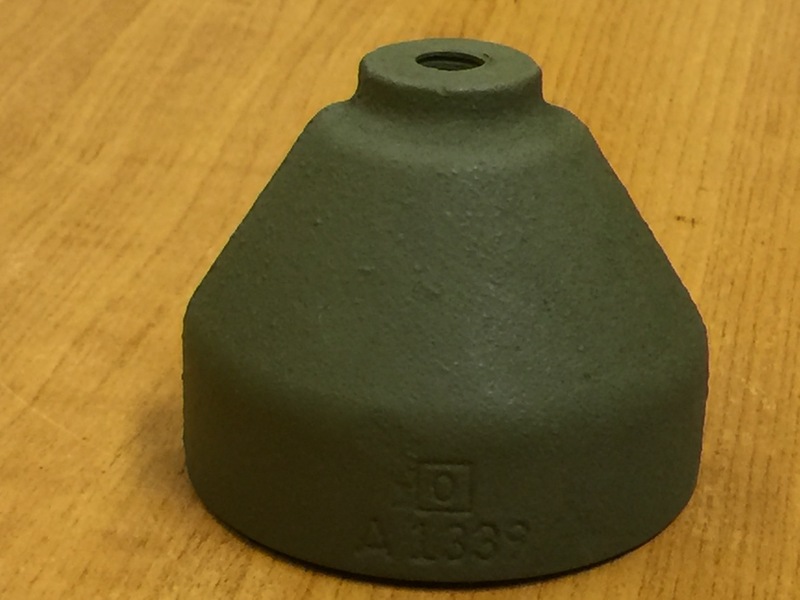 MB style Black out driving lamp guard, correct MB construction. 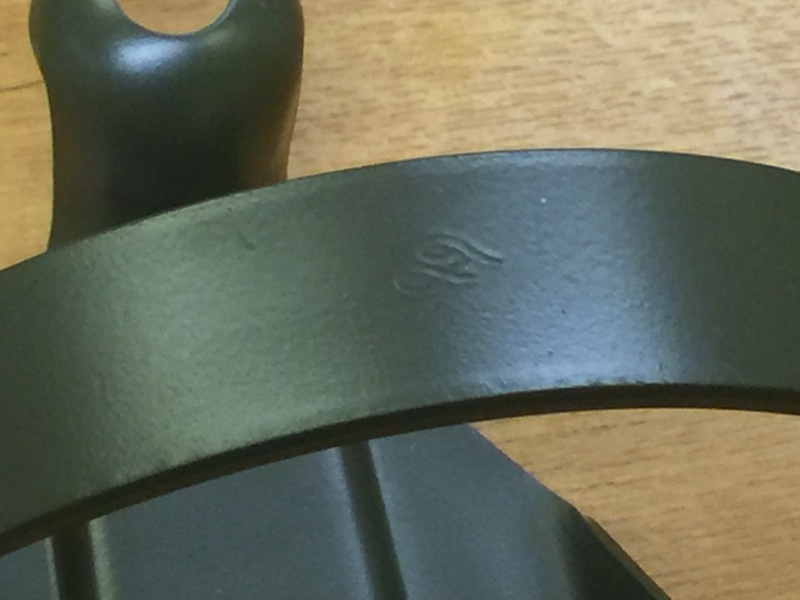 These are excellent quality guards that are almost identical to the original item. 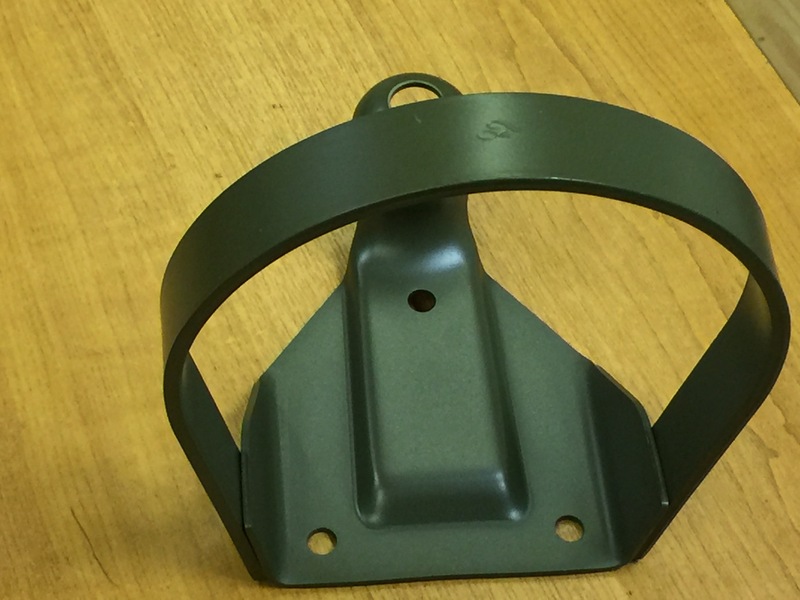 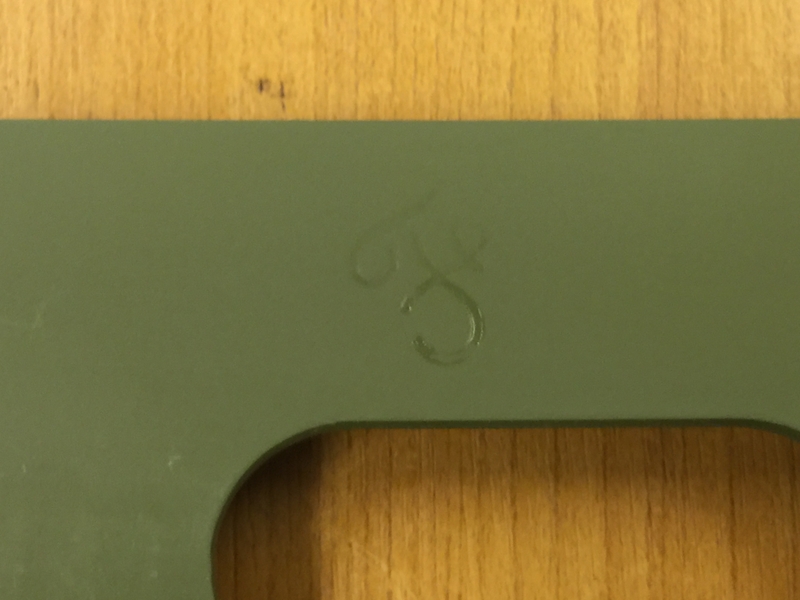 GPW Black out driving lamp guard, correct construction with four recessed holes, complete with Ford script. 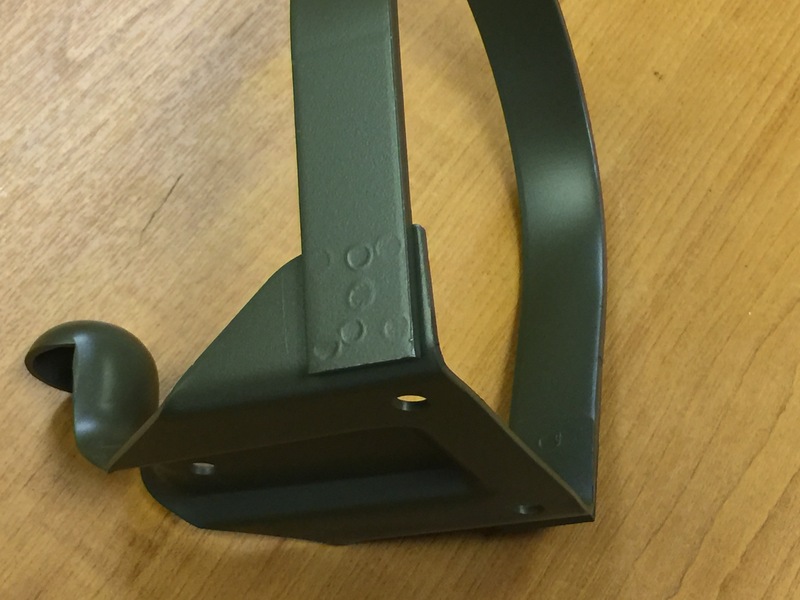 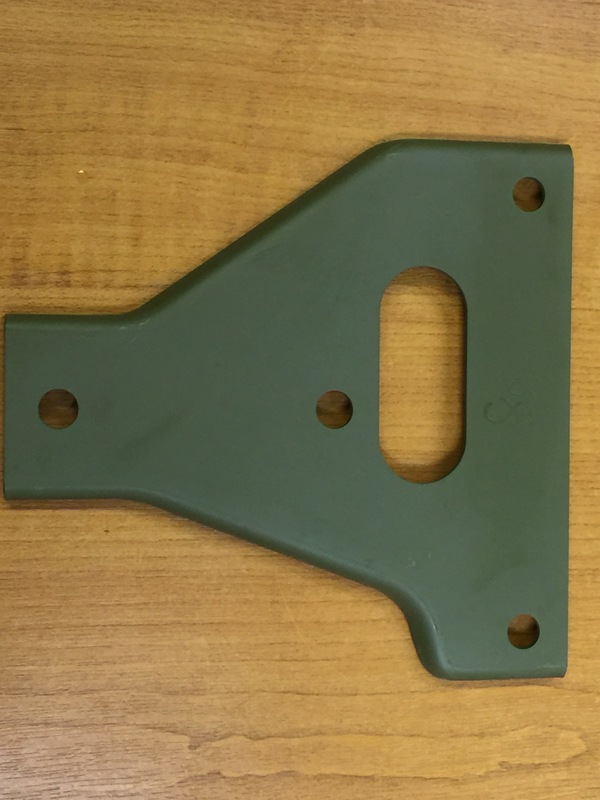 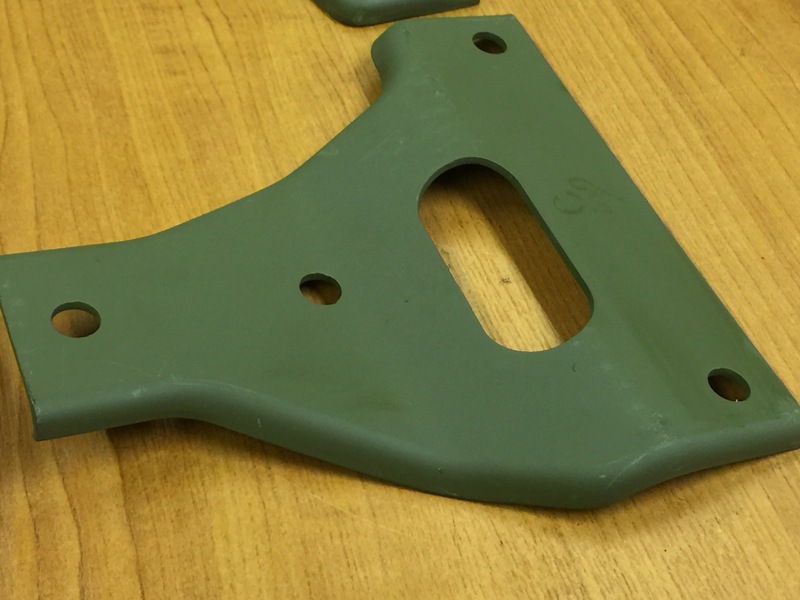 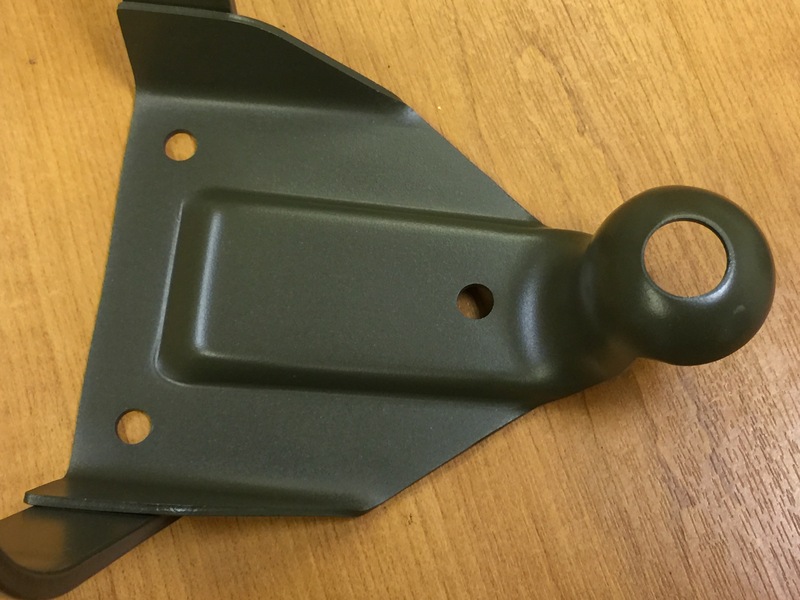 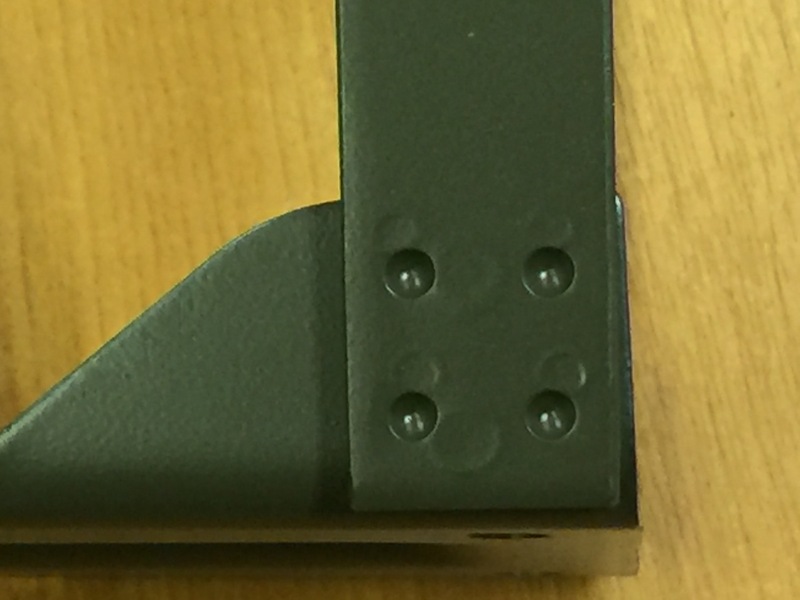 High quality reproduction Ford bumper gussets are now in stock. 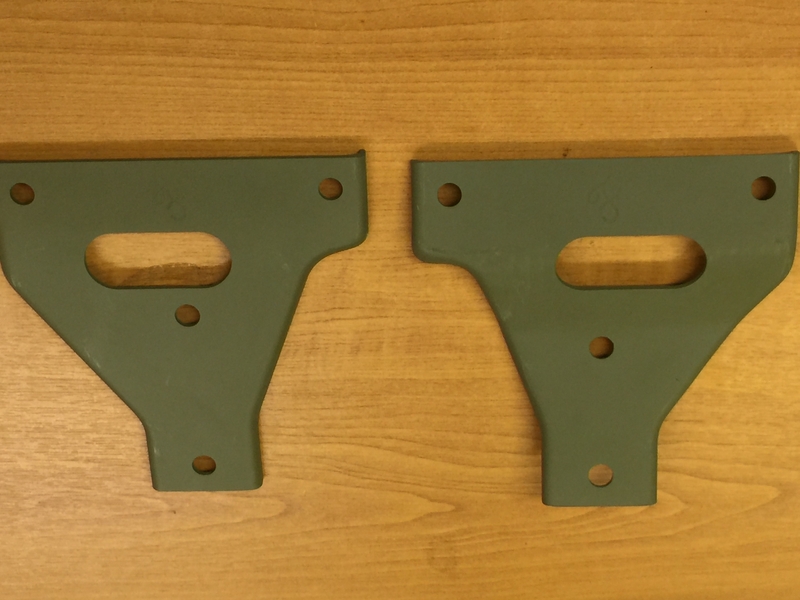 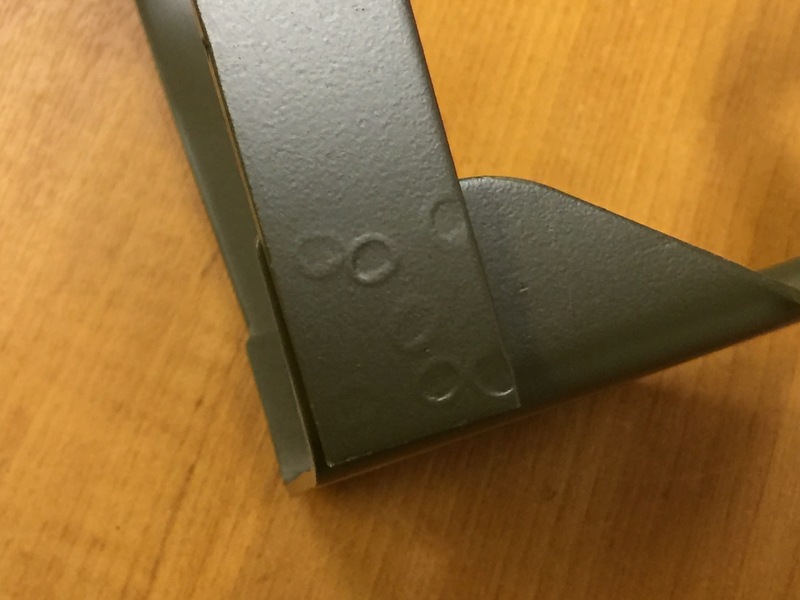 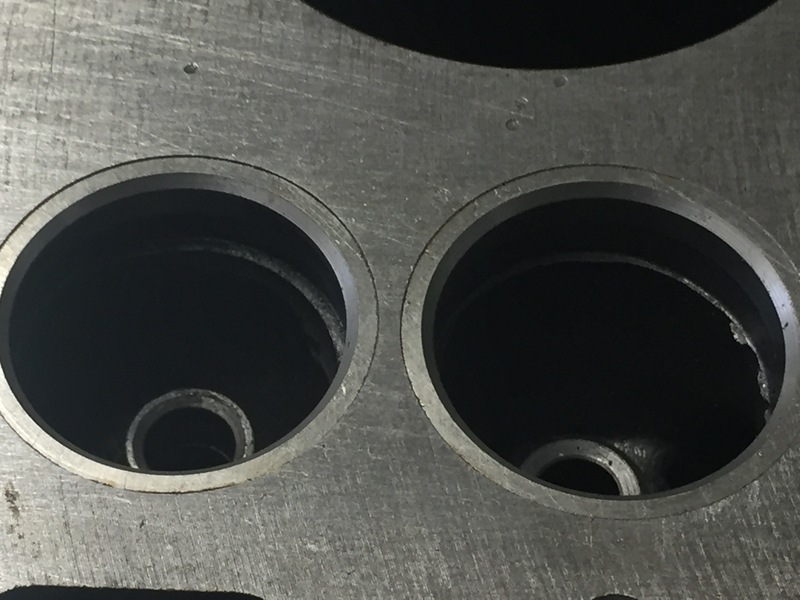 The Gussets are the correct GPW pattern with one less hole than the MB style. 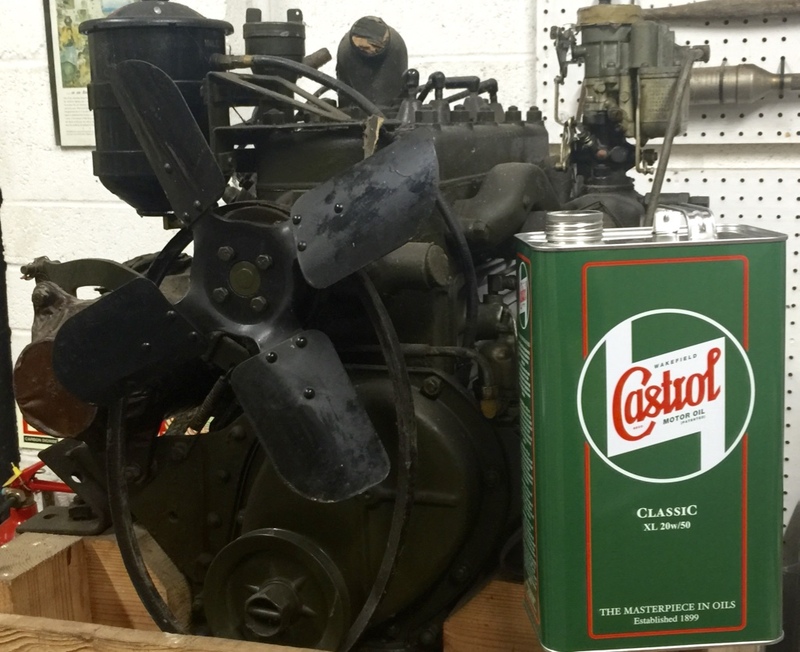 Complete with accurate Ford Script, they are almost identical to the original items. 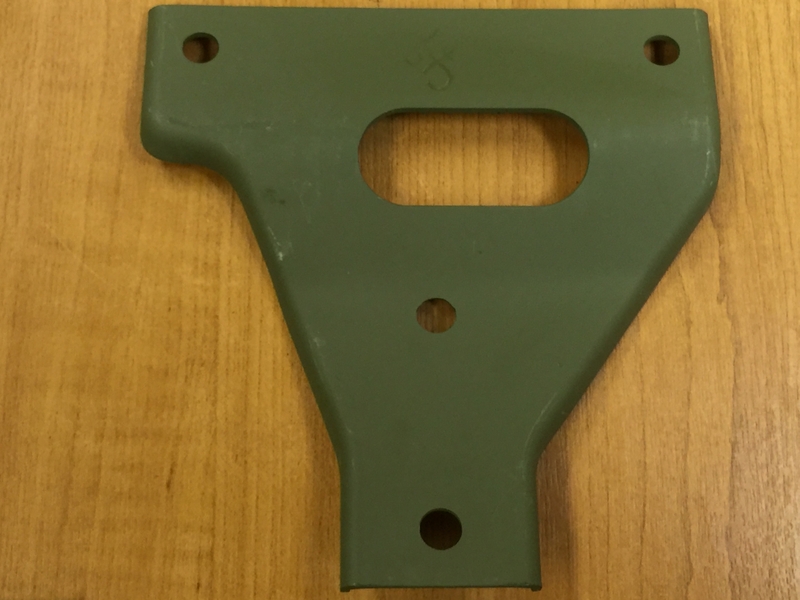 We keep each side upper and lower in stock. 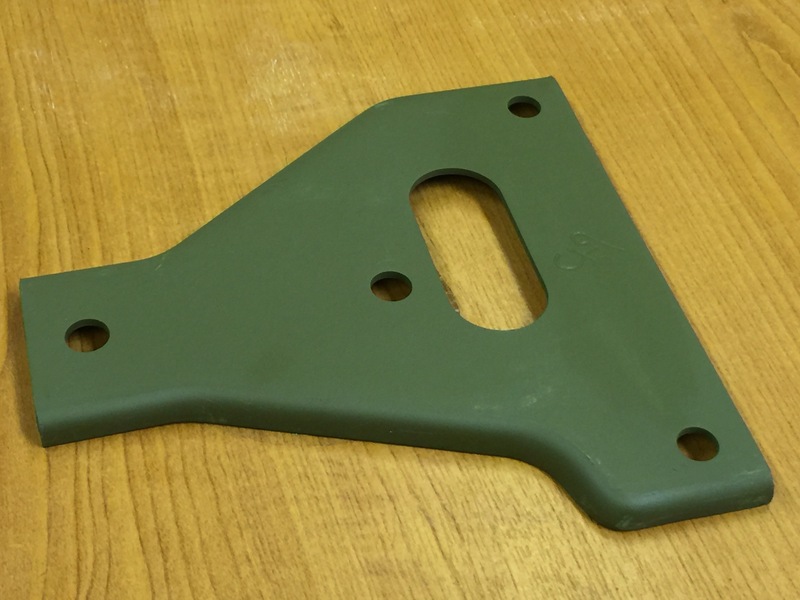 Very good accurate product If you are restoring a GPW chassis. 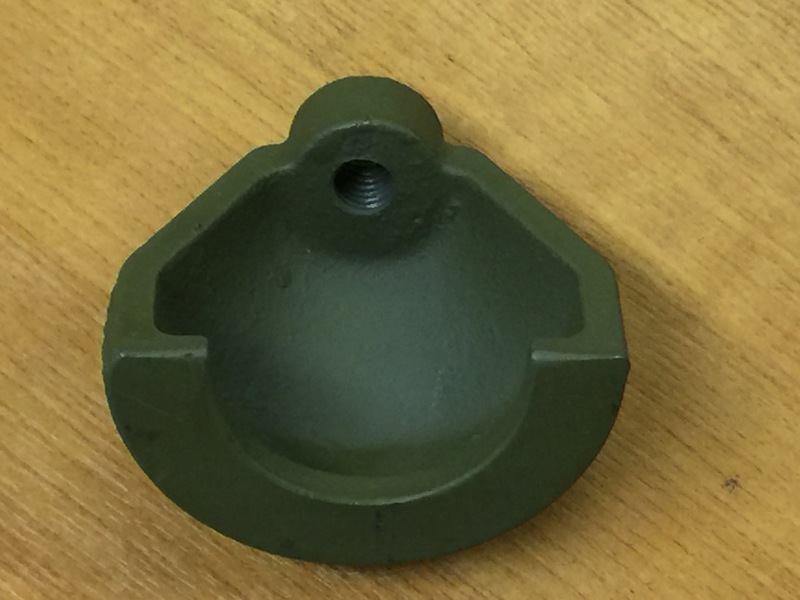 Hub puller used for the removal of the front drive flanges. 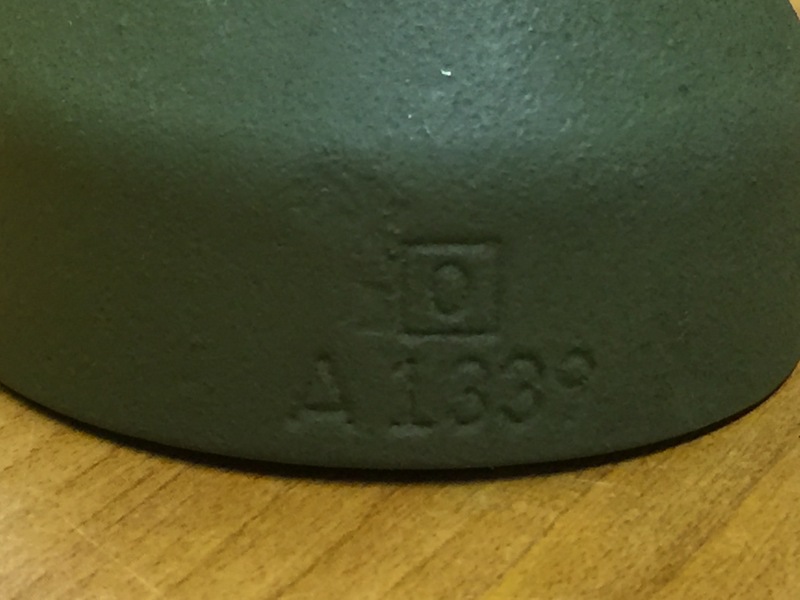 Excellent quality reproduction that is almost identical to the original item, complete with the correct casting number. 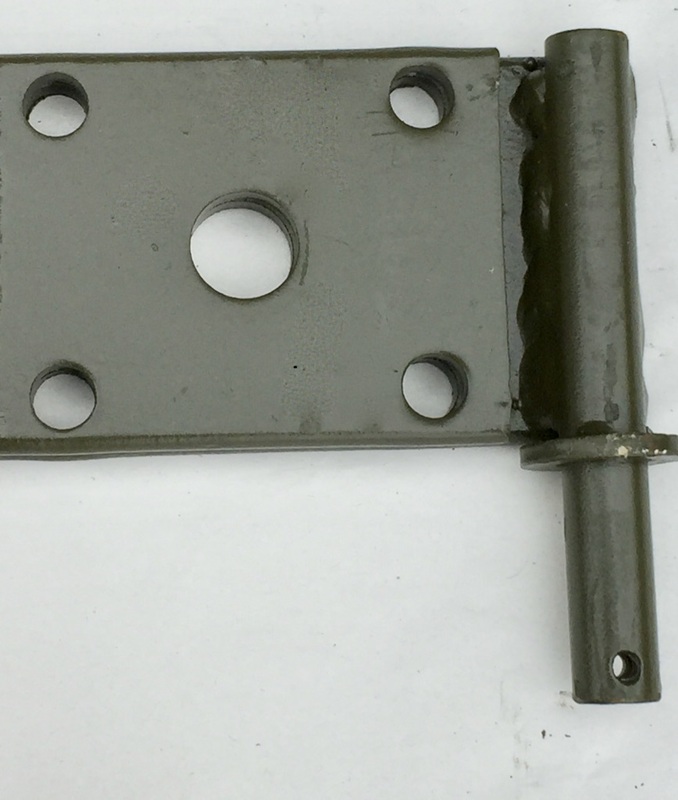 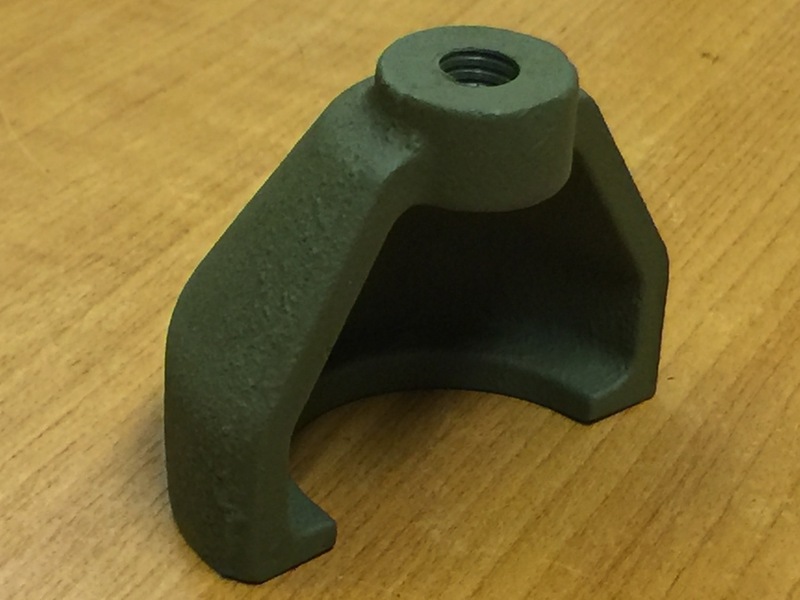 This item is part of the original Jeep tool kit and is an essential tool to allow correct removal of front drive flanges. 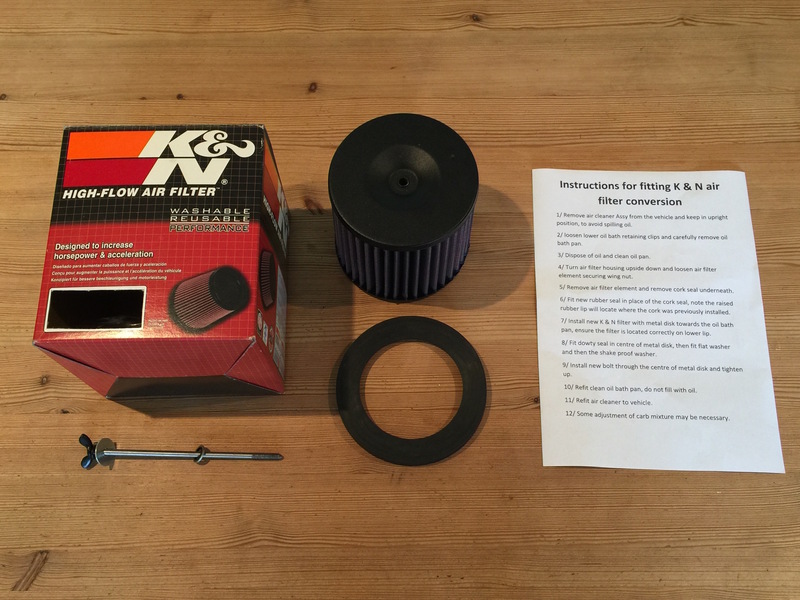 New into stock are Willys MB and Ford GPW K&N high flow air filter conversion kits. 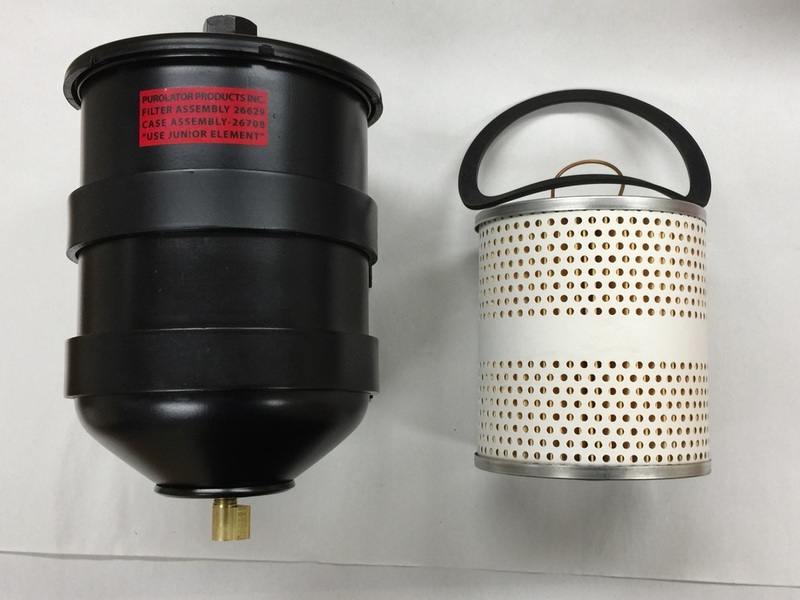 These kits are a direct replacement for the highly restrictive standard air cleaner element. 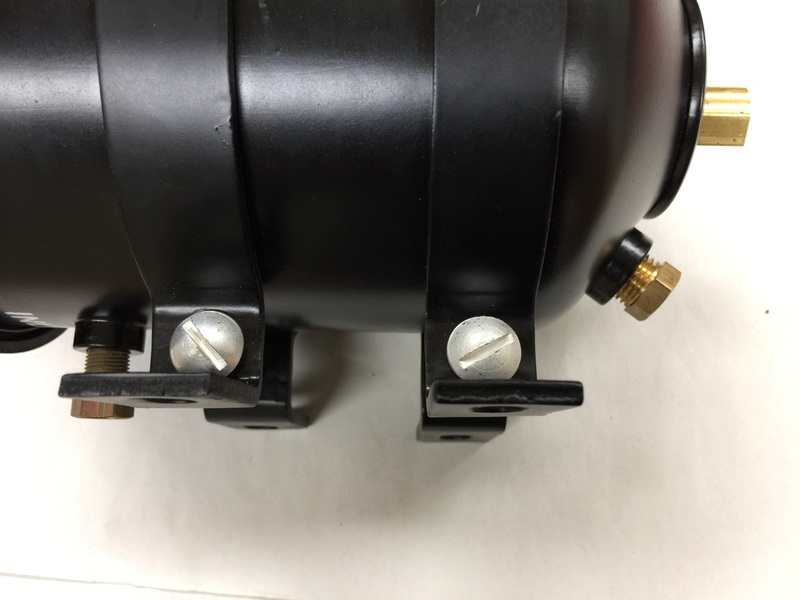 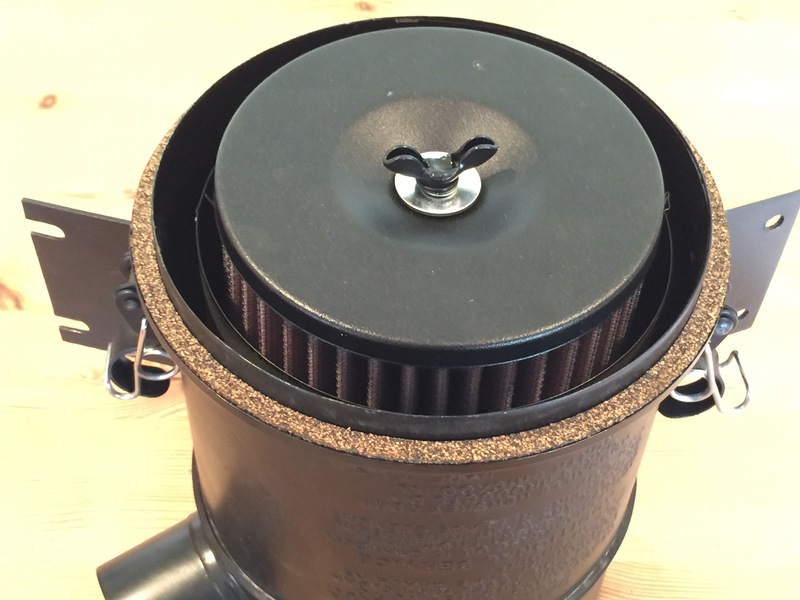 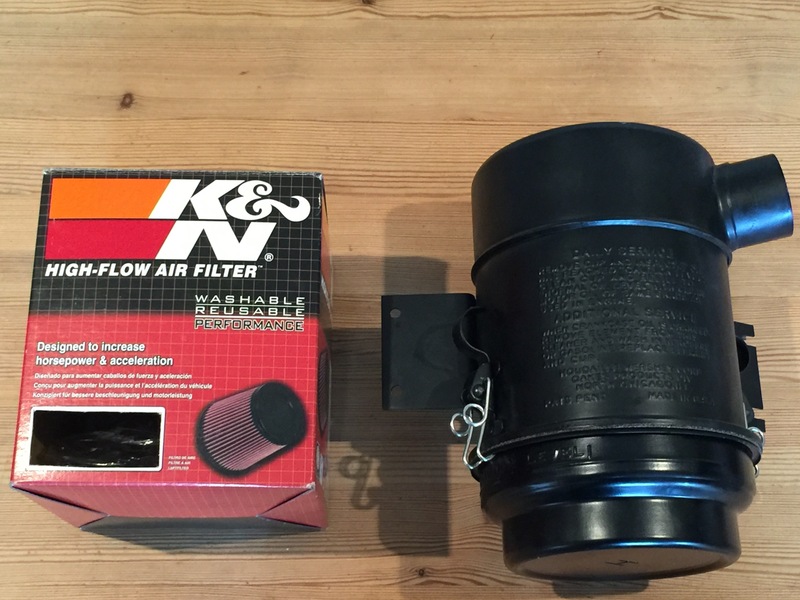 The K&N filter fits inside the air cleaner housing looks completely standard when viewed from the outside. 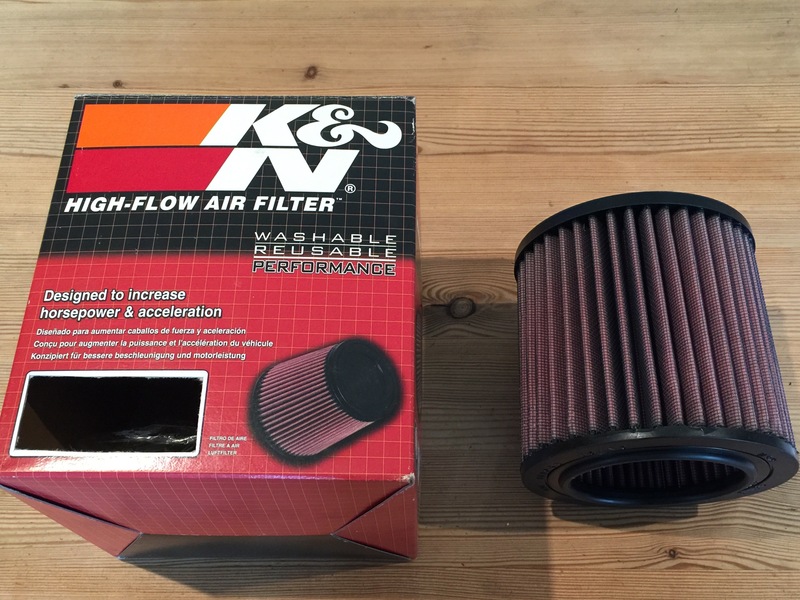 Genuine USA made K&N filters, benifits include; •High Air Flow with Excellent Filtration •Designed to Increase Horsepower and Acceleration •Washable and Reusable •Can increase MPG •Lasts up to 50,000 miles before cleaning is required depending on driving conditions •Simple to fit, all parts and instructions included. 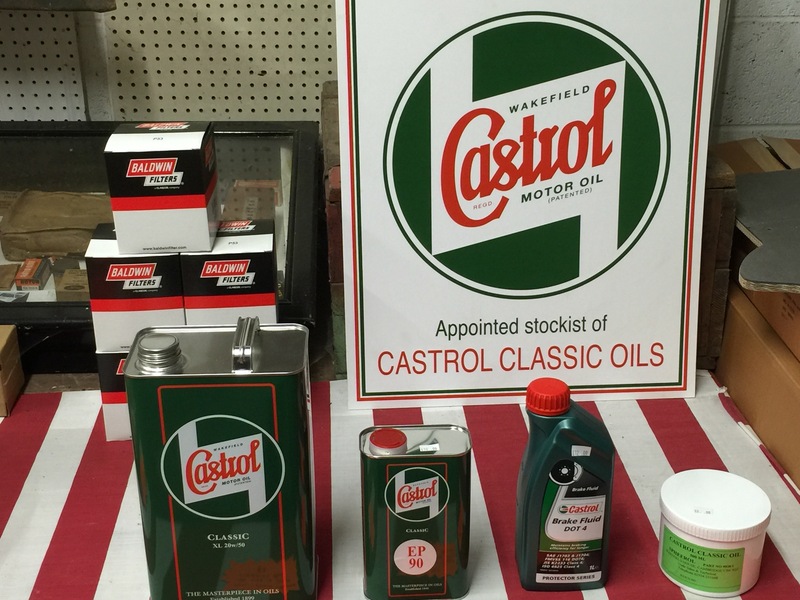 We have now extended our range of Castrol products and can now offer the following items. 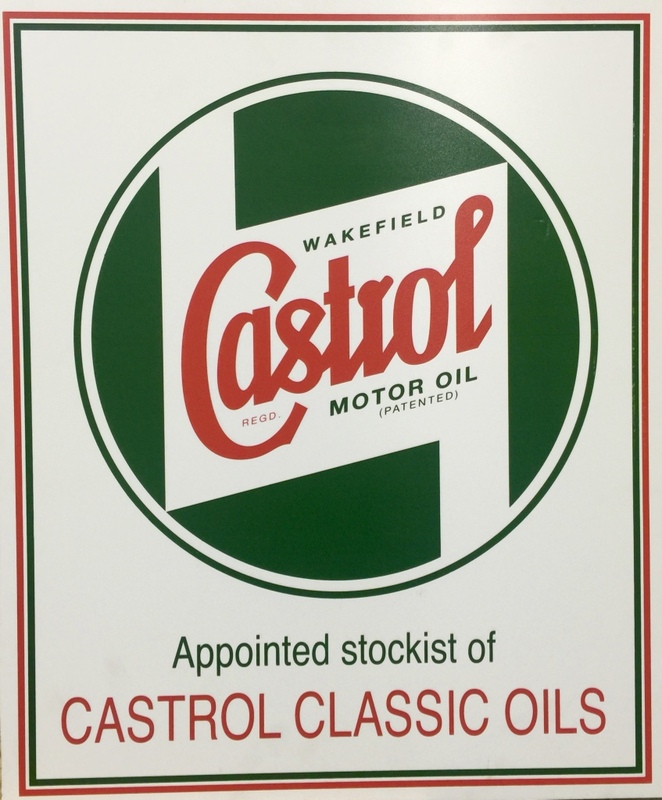 Please call for latest prices and offers. 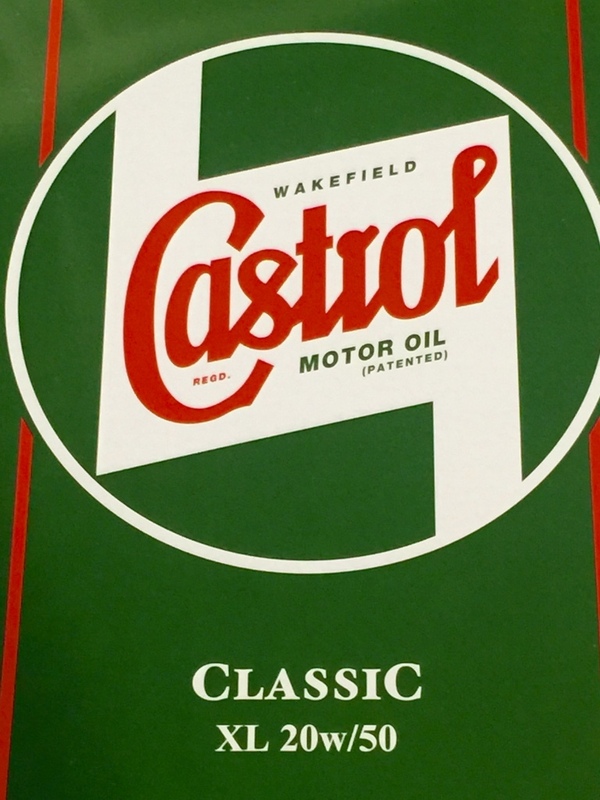 Dallas Auto's are pleased to offer Castrol Oil suitable for both Jeep and Dodge engines. 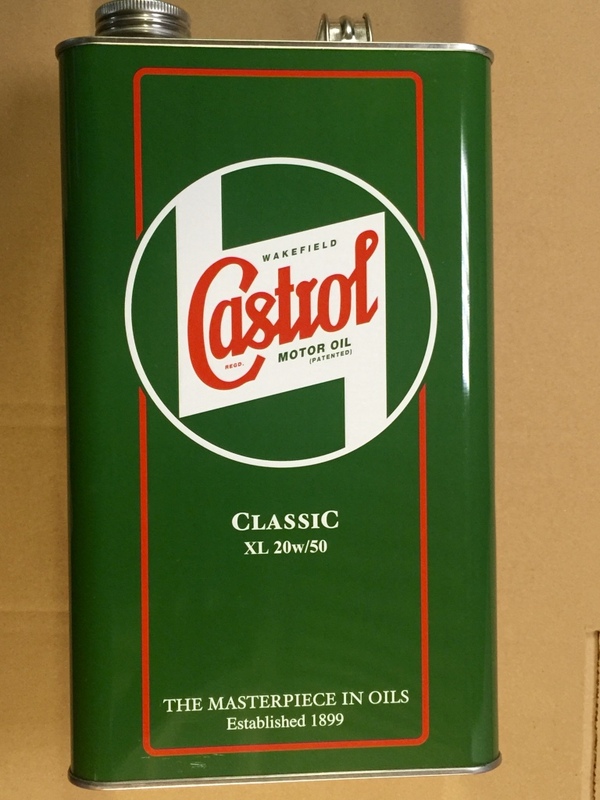 We can supply the correct grade in a period metal gallon tin or 20 litres If you require bulk quantities. 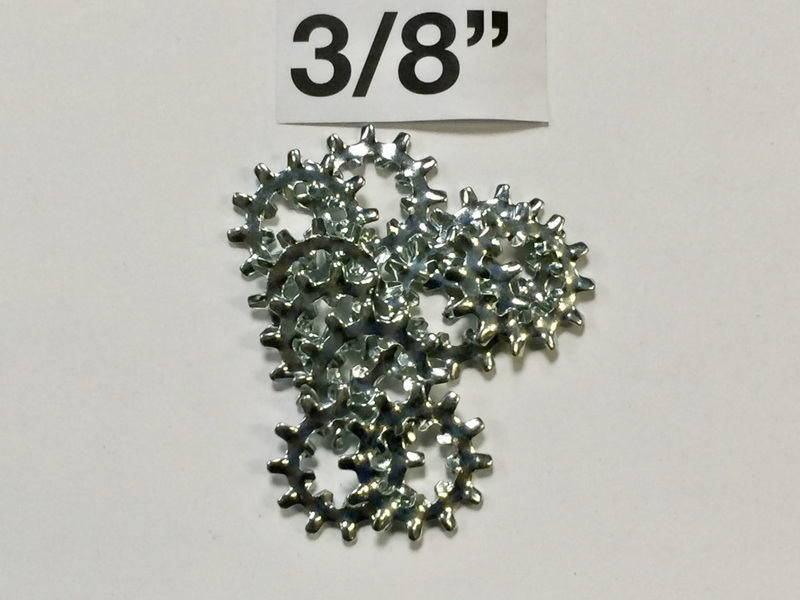 This product is available for both collect or mail order. 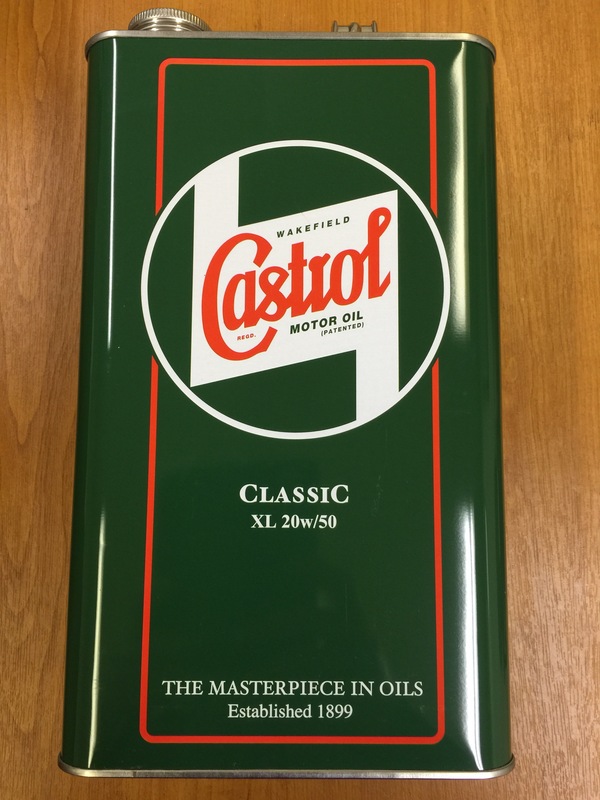 Please telephone If you require any further information on this product. 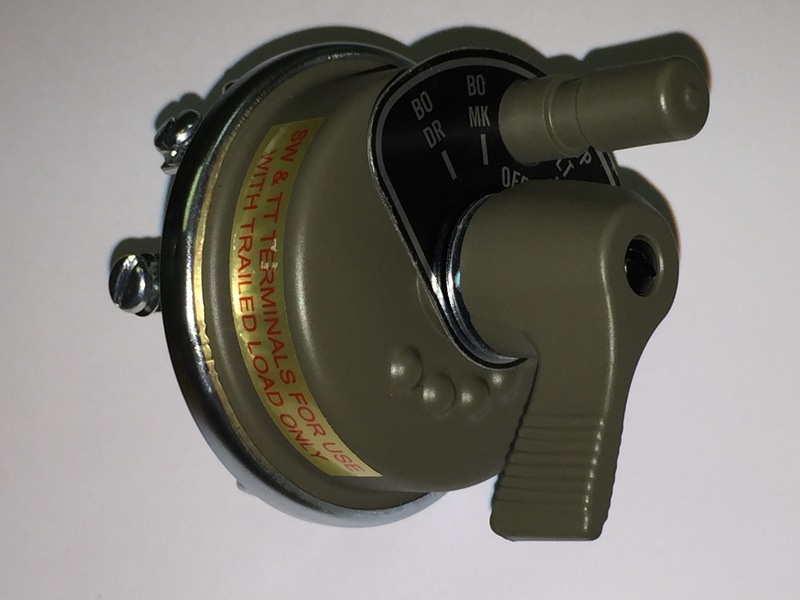 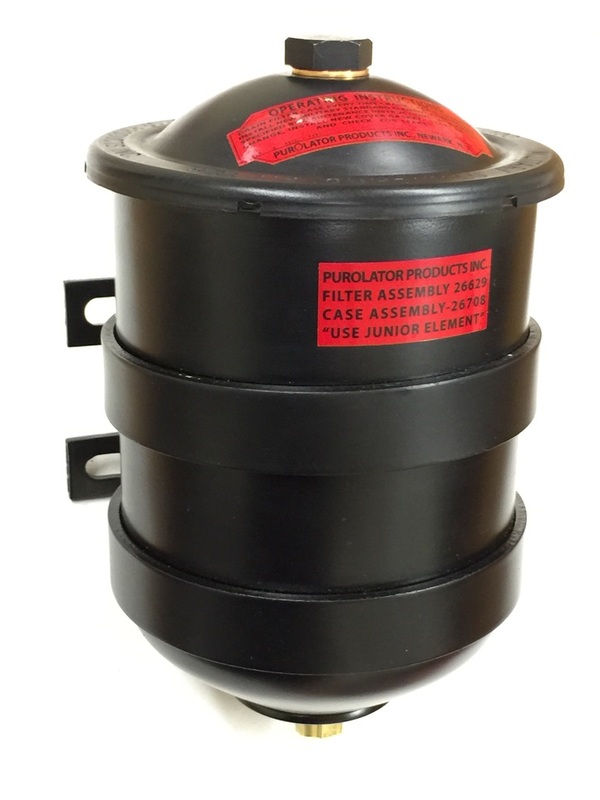 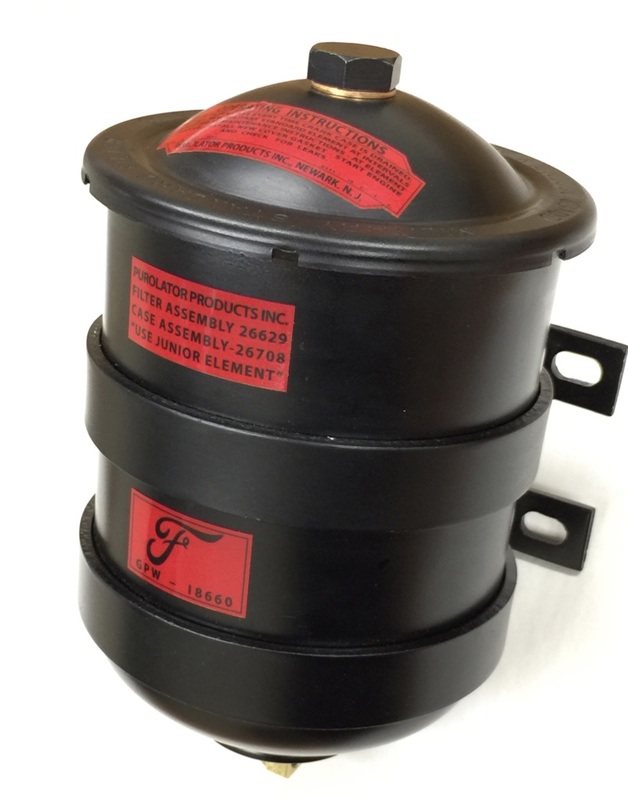 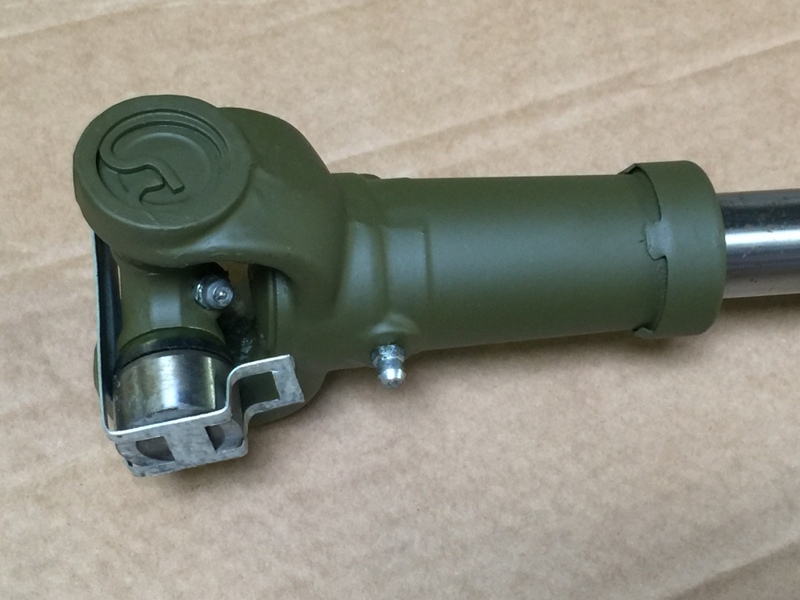 We now have in stock excellent quality Jeep fuel tank sender units. 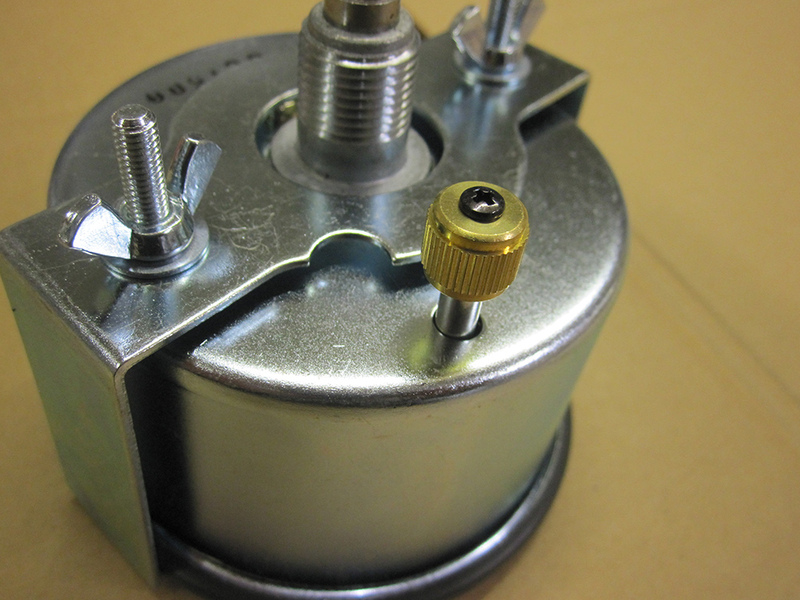 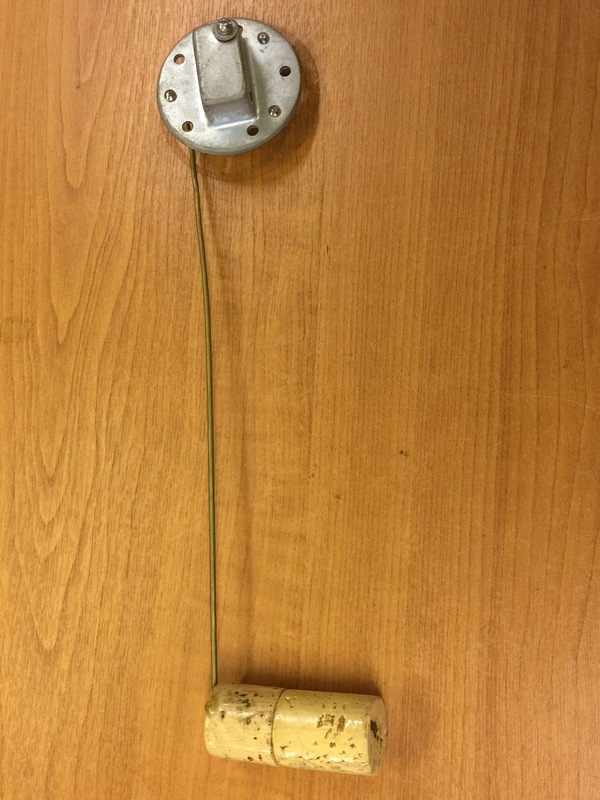 The senders have been tested in house with 6, 12 and 24 Volt systems. 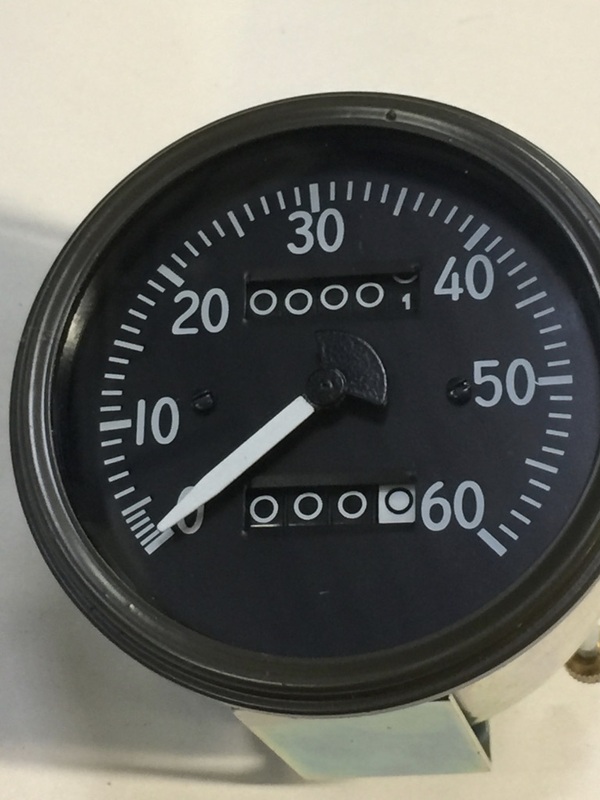 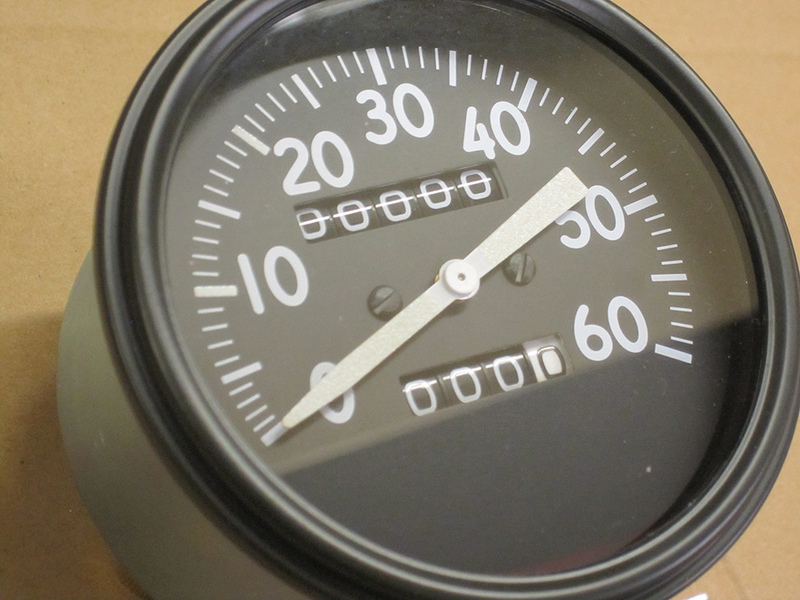 The operation has also been checked for compatability with original fuel gauges and reproduction fuel gauges that we stock. 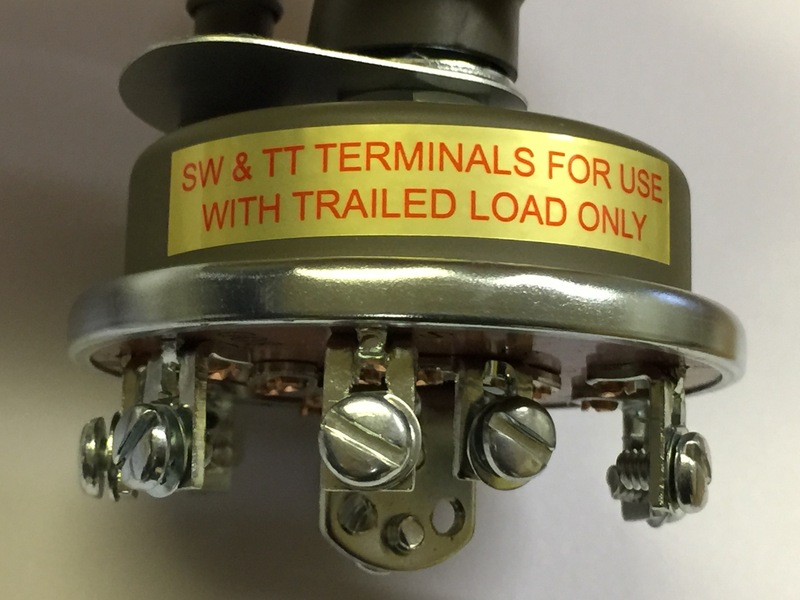 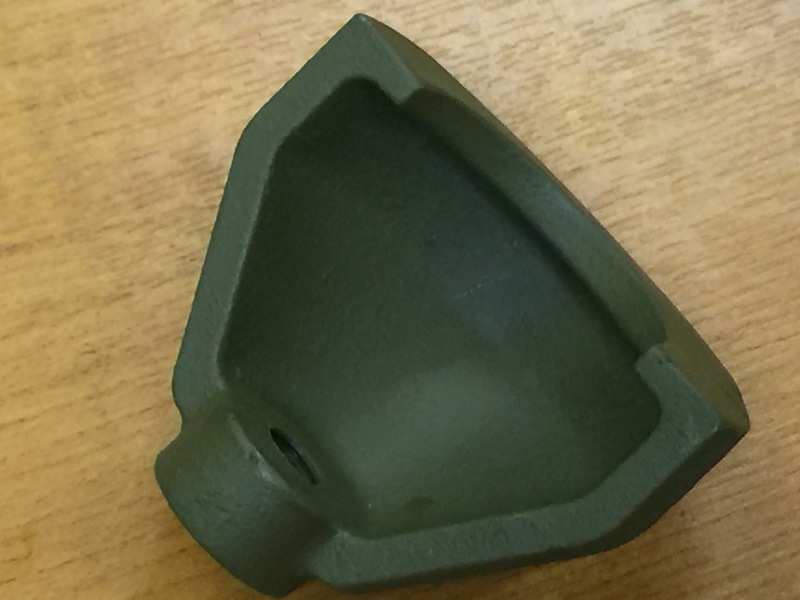 We have also checked the fit and operating range in the Olaco style fuel tanks that we have for sale. 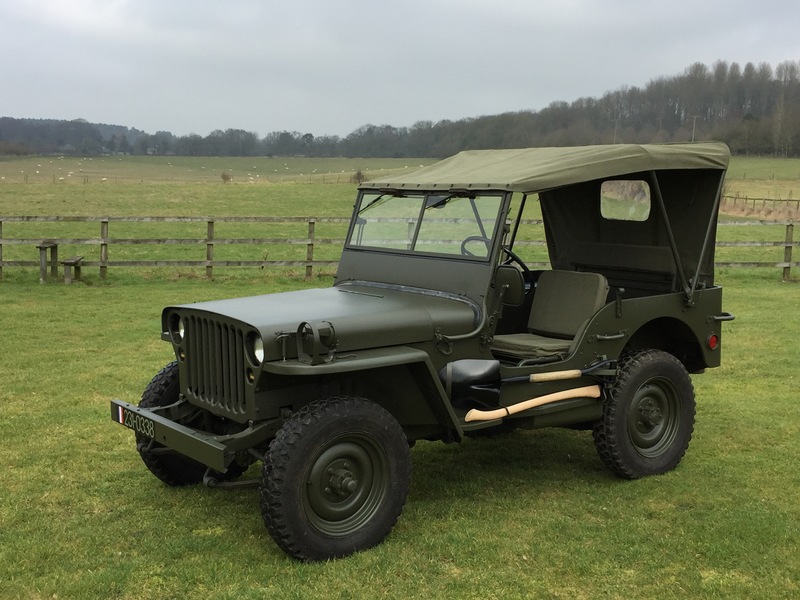 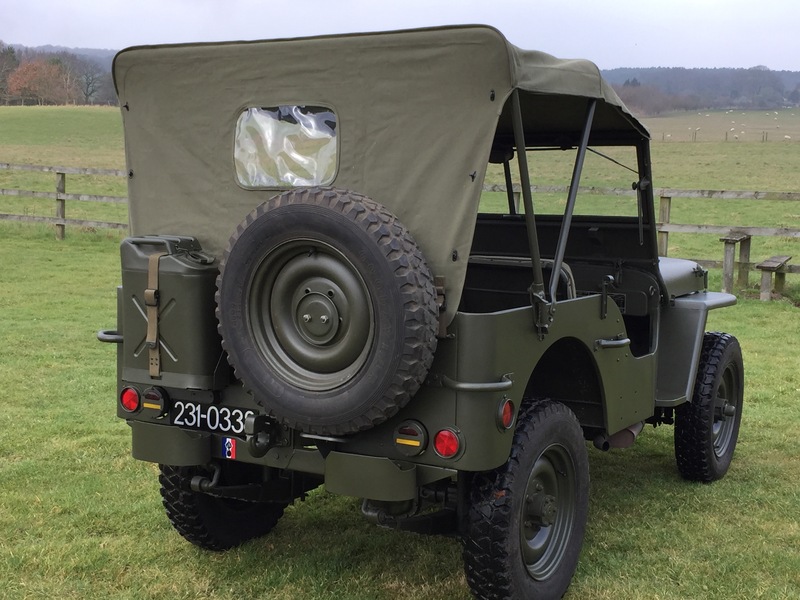 New to stock - Jeep windscreens, very good quality, complete with correct drain holes, we can supply as a complete screen with inner and outer, availible with both Ford and Willys style glass. 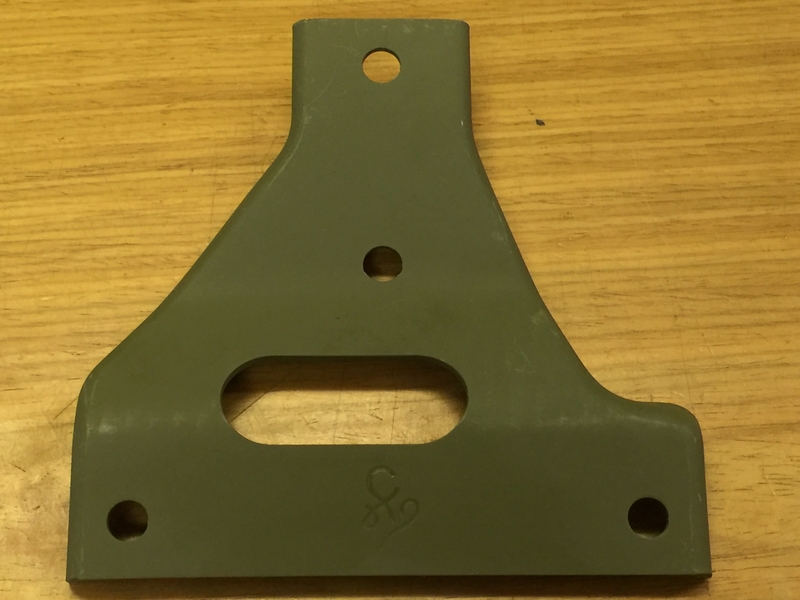 We can also supply just the outer or inner screen to suit your requirements, please call for latest price. 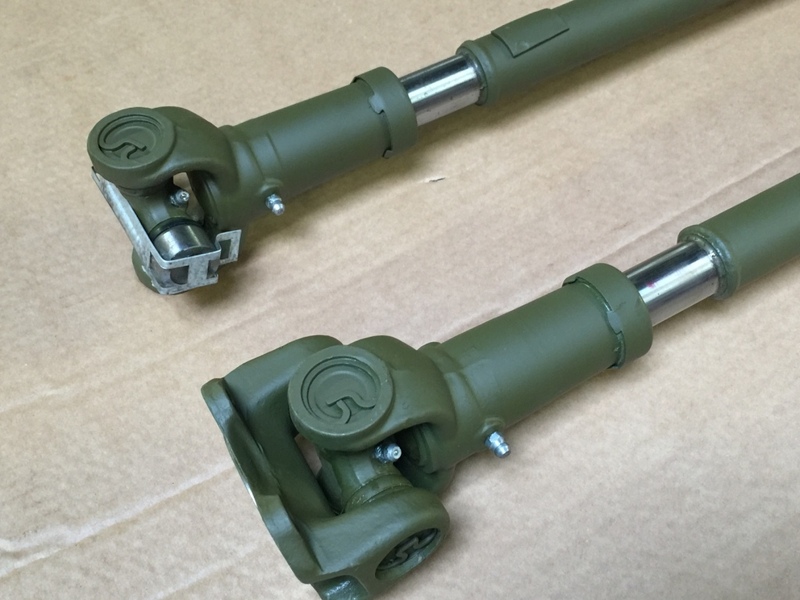 Excellent Quality Ford GPW metal type choke and throttle Control cables. 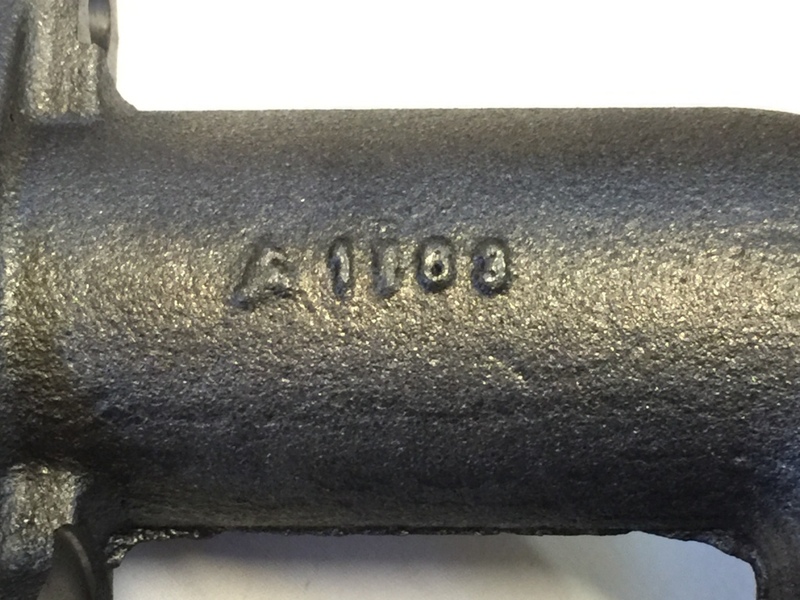 Correct metal type with raised letters as per original. 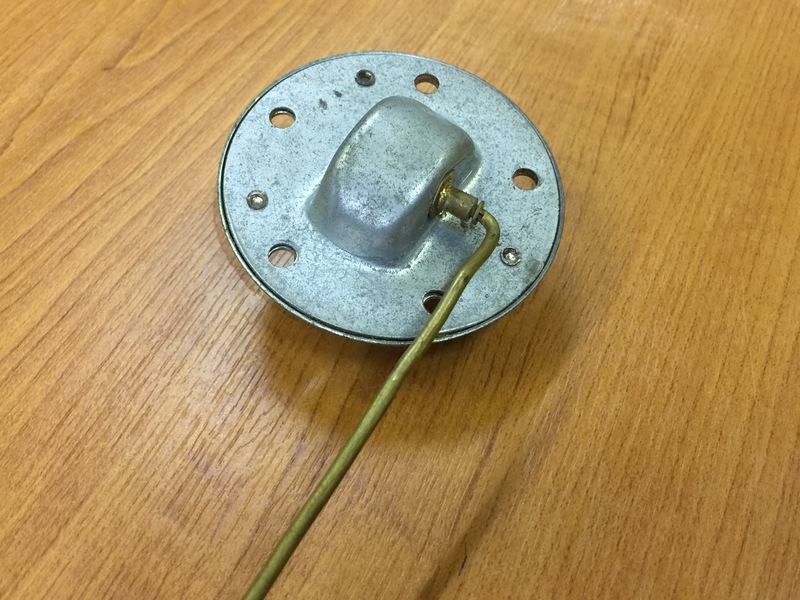 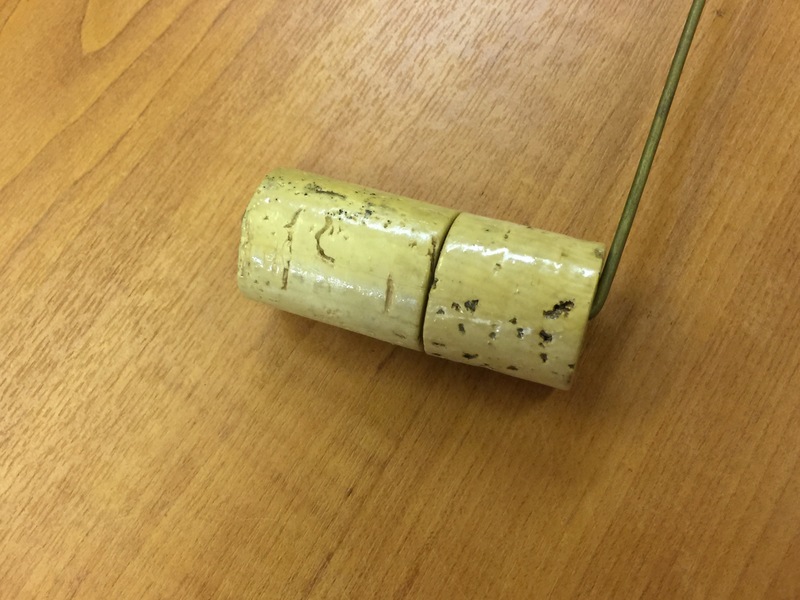 Complete with inner and outer cable. 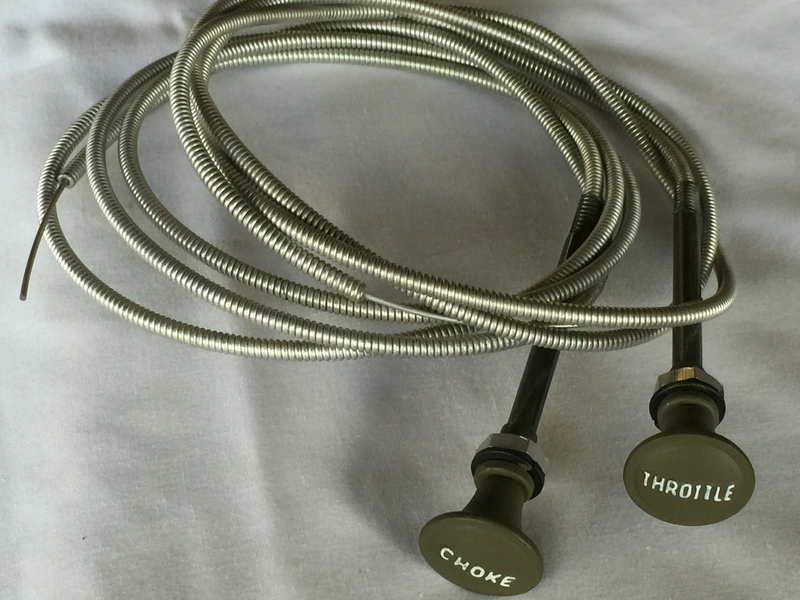 These are very good reproduction cables that are hard to tell from the originals. 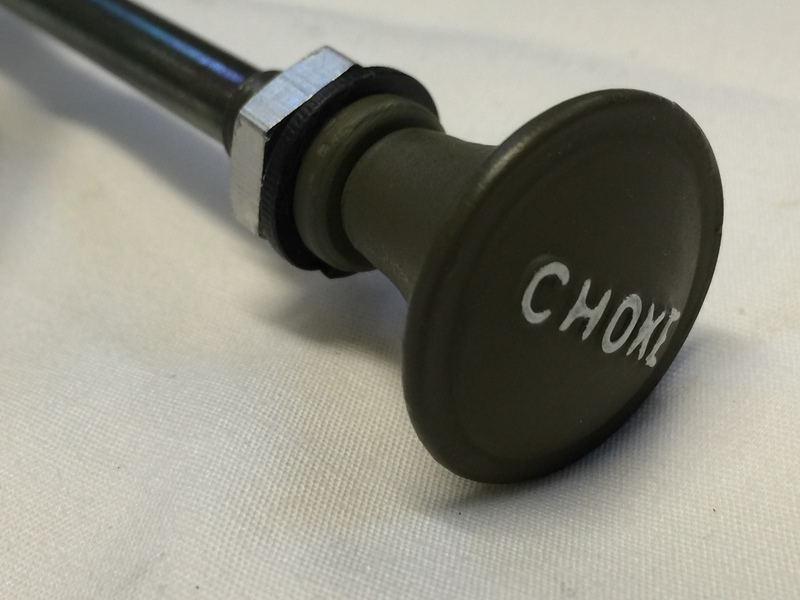 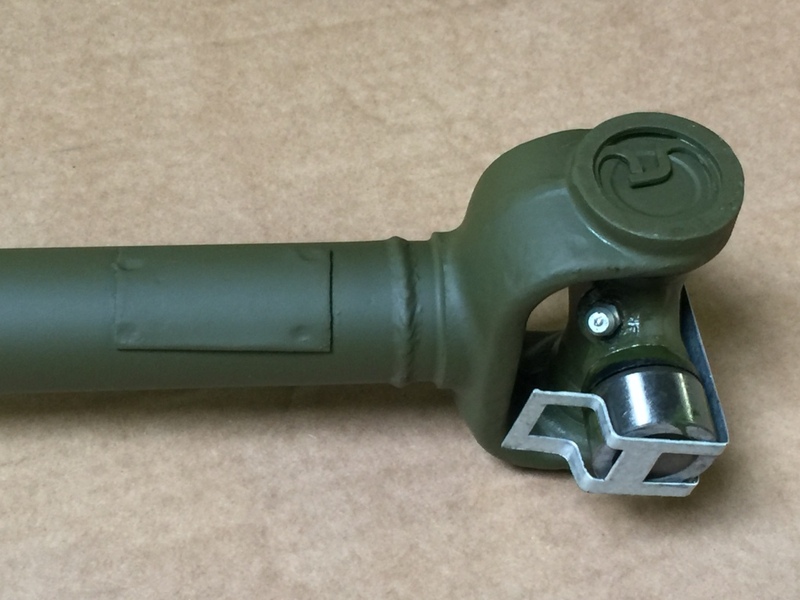 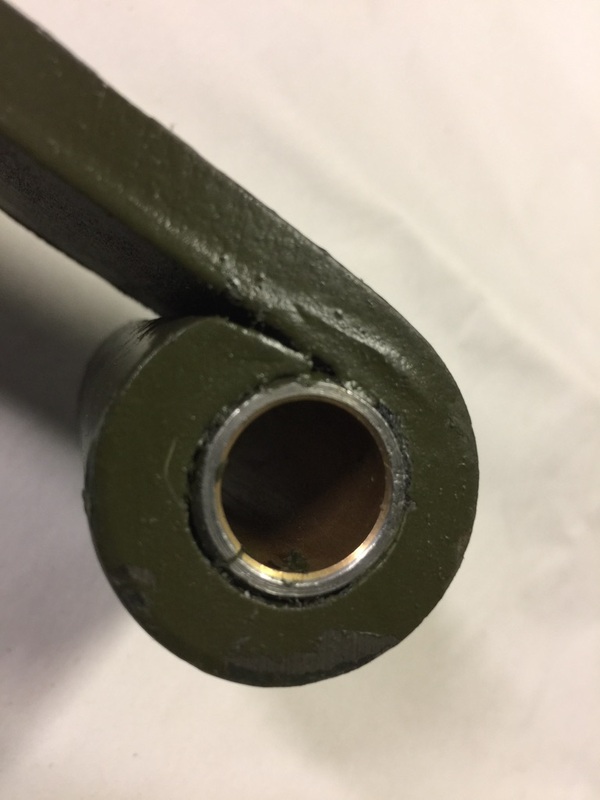 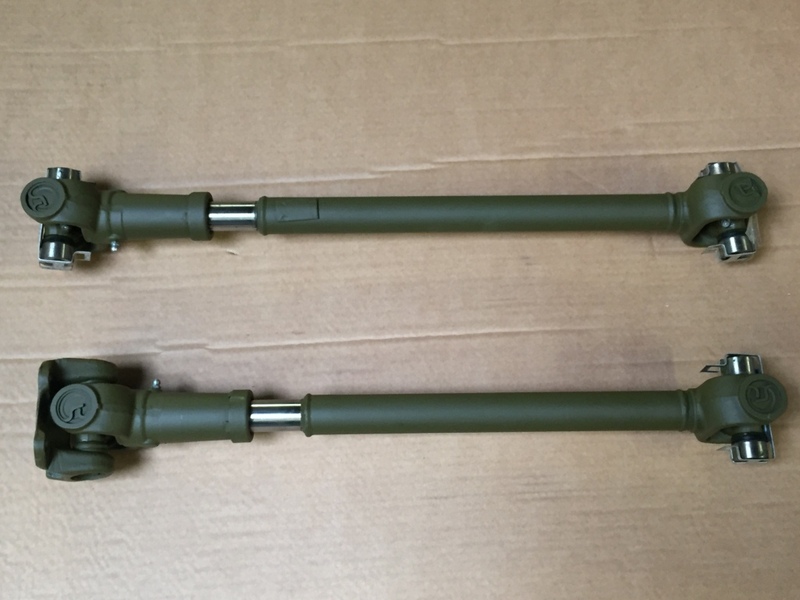 New to stock are these high quality propshafts, suitable for the Willys MB, Ford GPW and Hotchkiss M201. 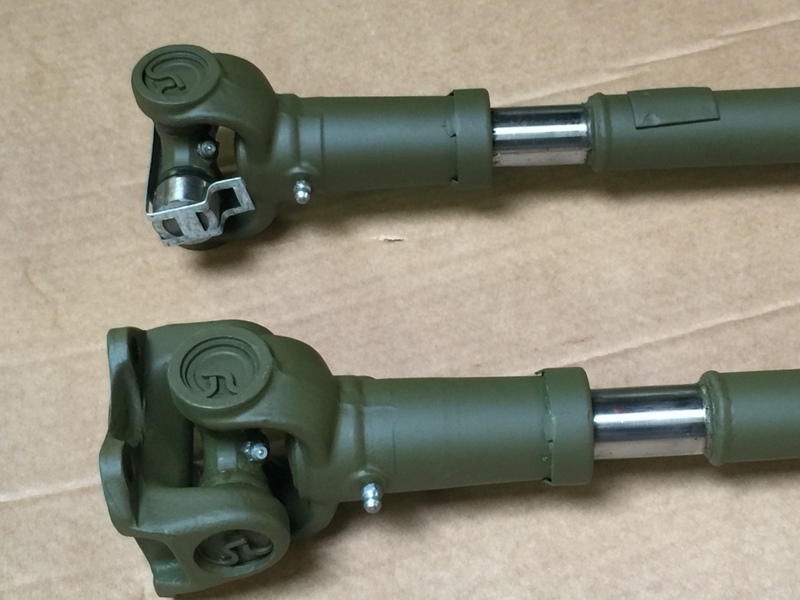 The propshafts are fully balanced, come complete with universal joints and are ready to fit. 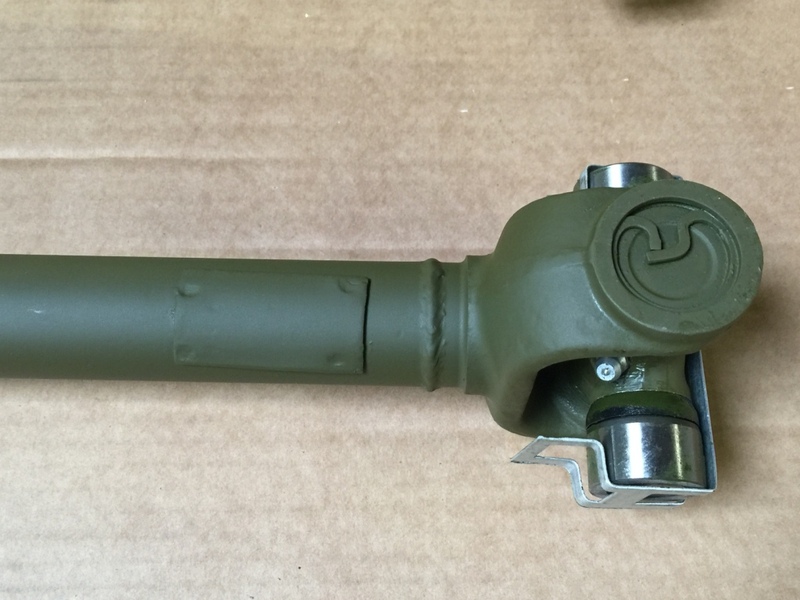 We keep both front and rear propshafts in stock. 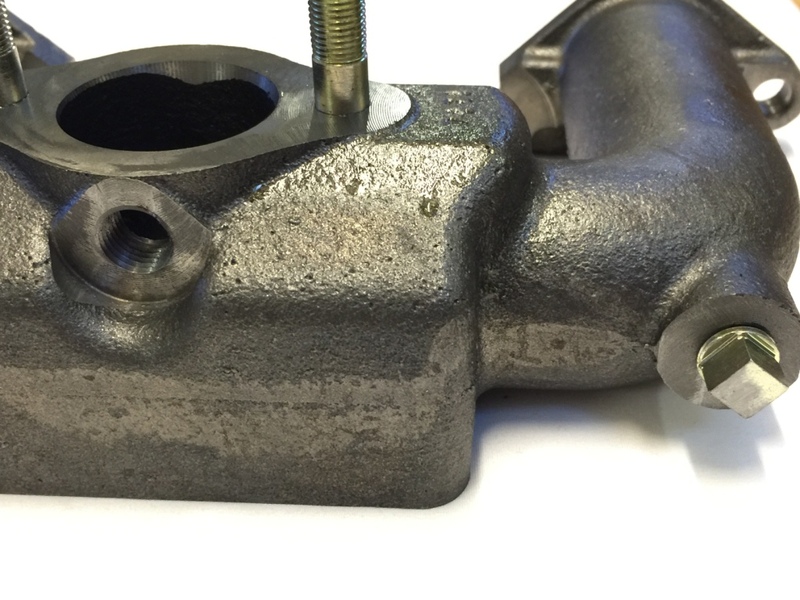 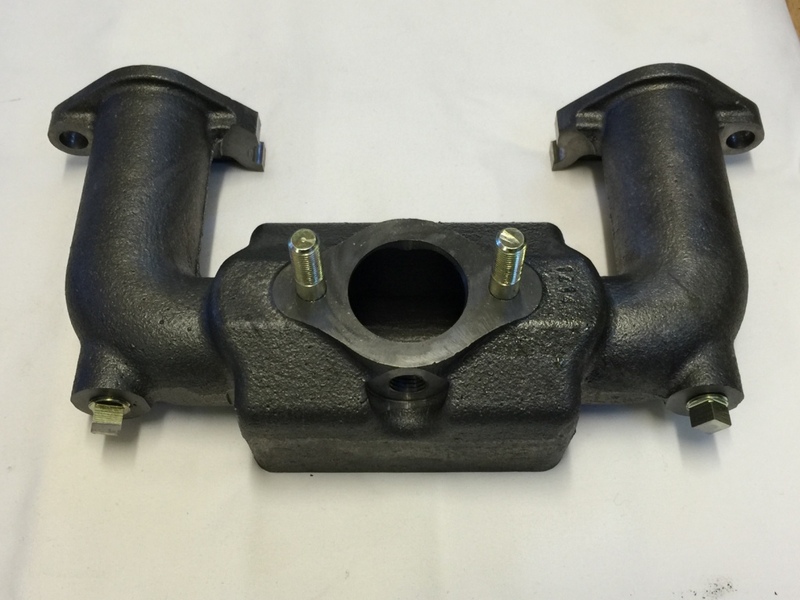 We now have in stock excellent quality inlet manifolds, suitable for the MB, GPW and M201 Jeeps. 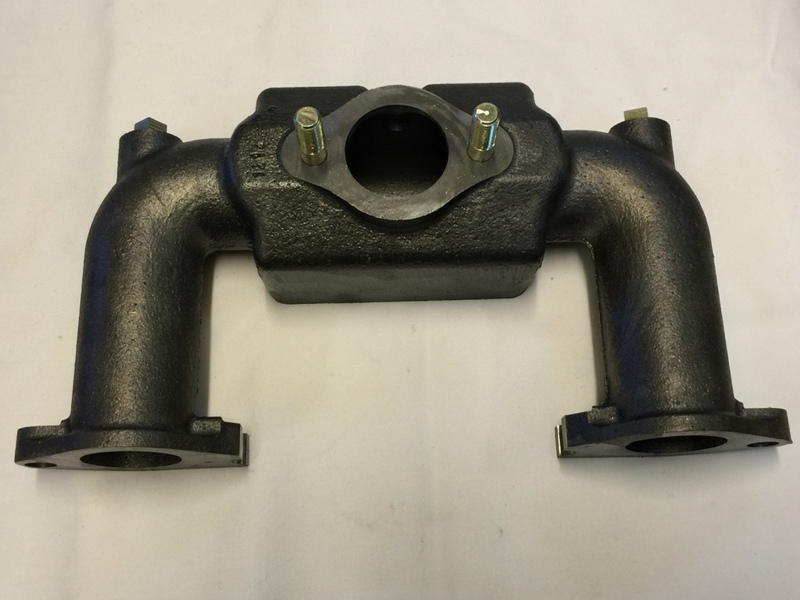 Made to very high standards these manifolds are manufactured with outlets for the PCV valve and vacuum wipers. 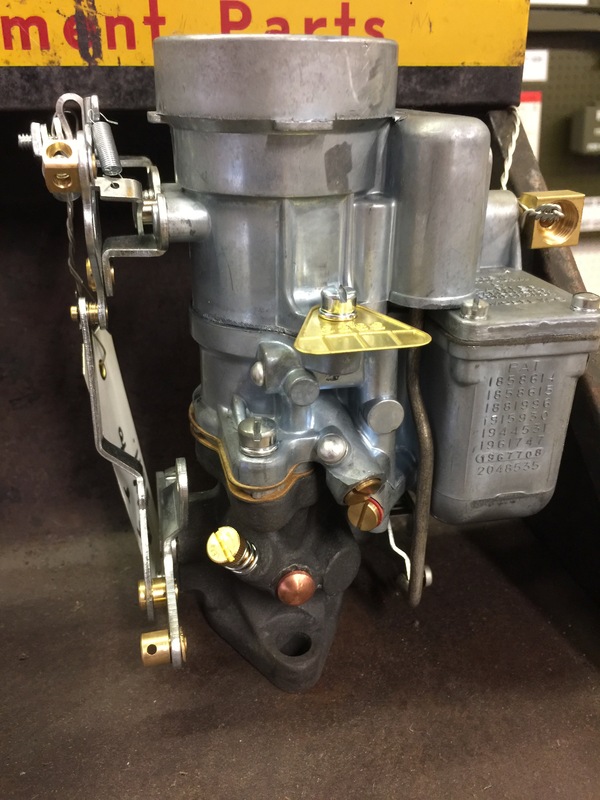 They are complete with studs for the carburettor and blanking off plugs. 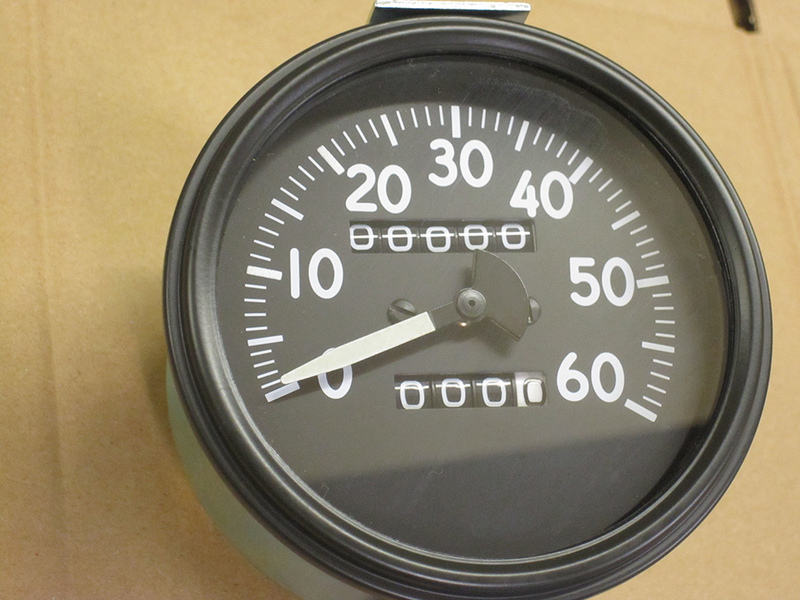 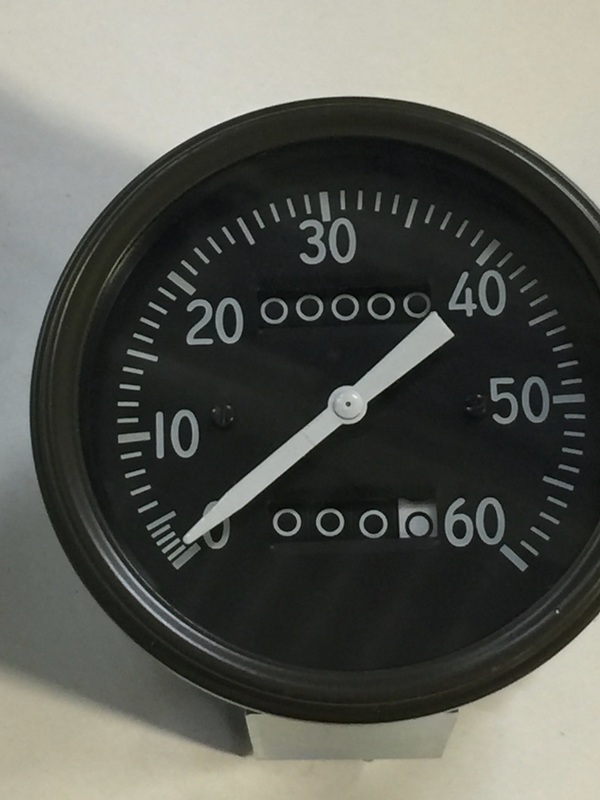 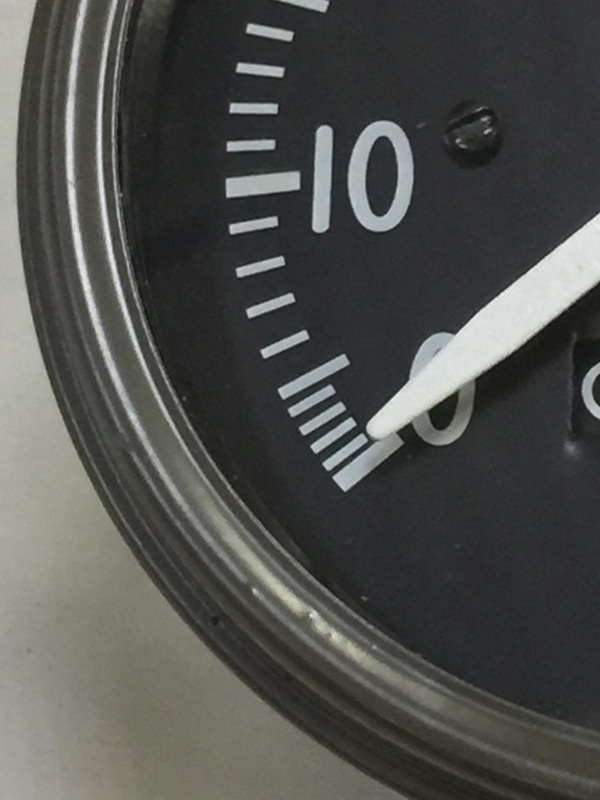 We keep both MB and GPW style dials with both early long needle and late short needle design in stock. 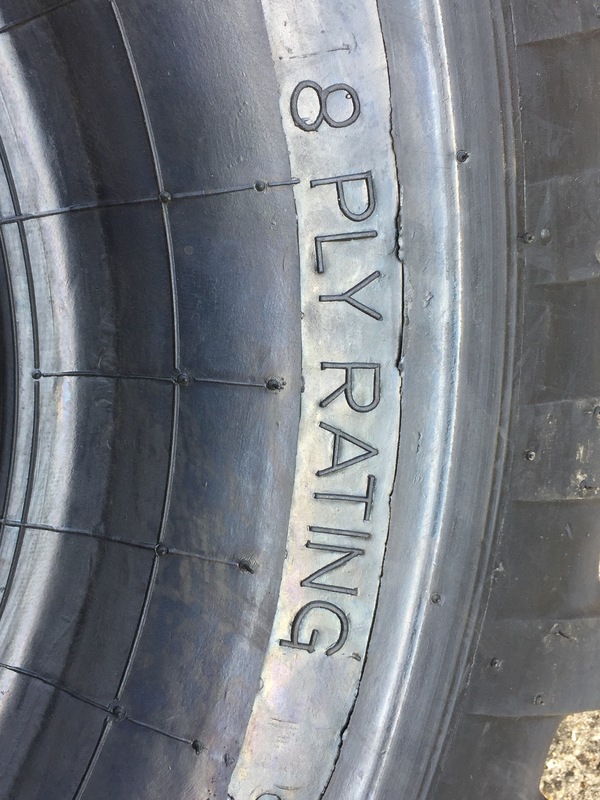 Excellent quality complete with trip reset button.